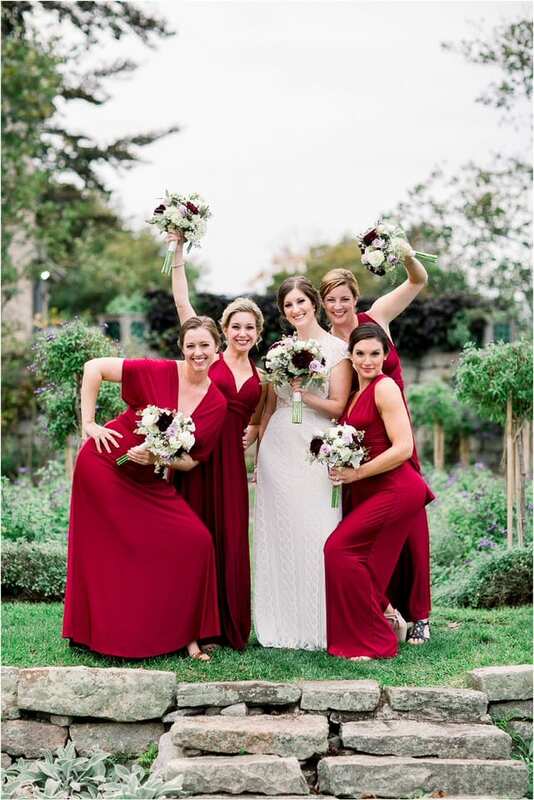 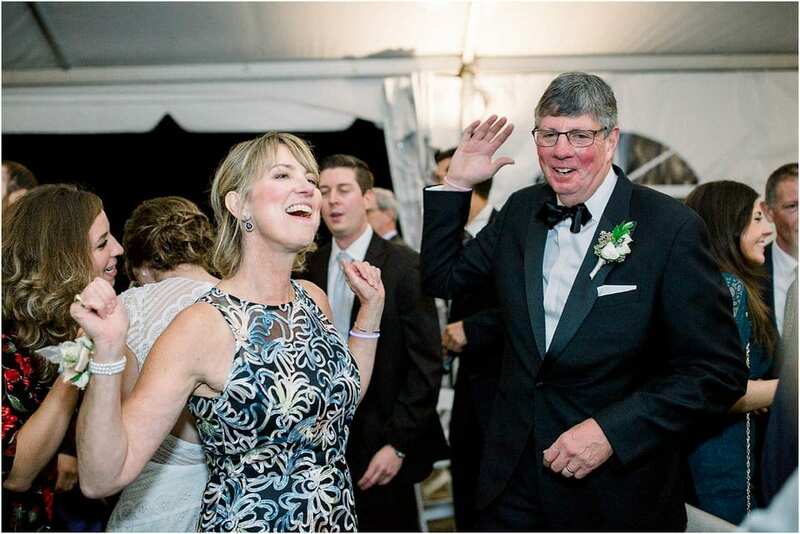 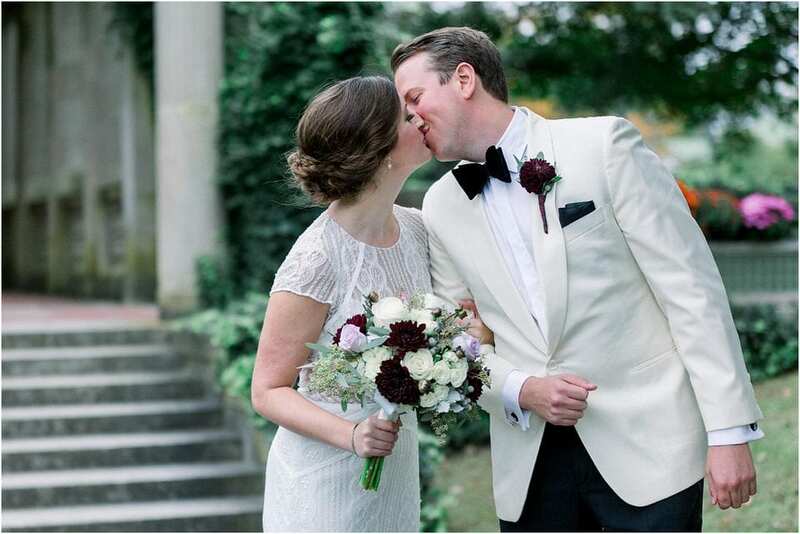 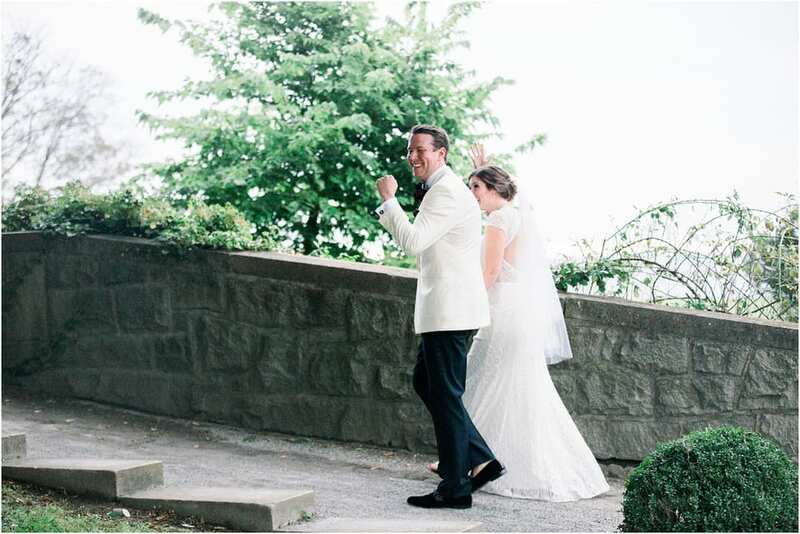 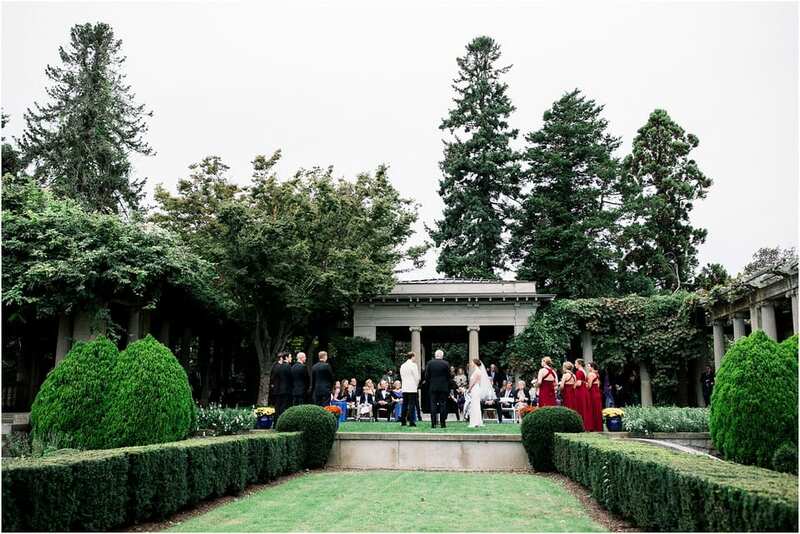 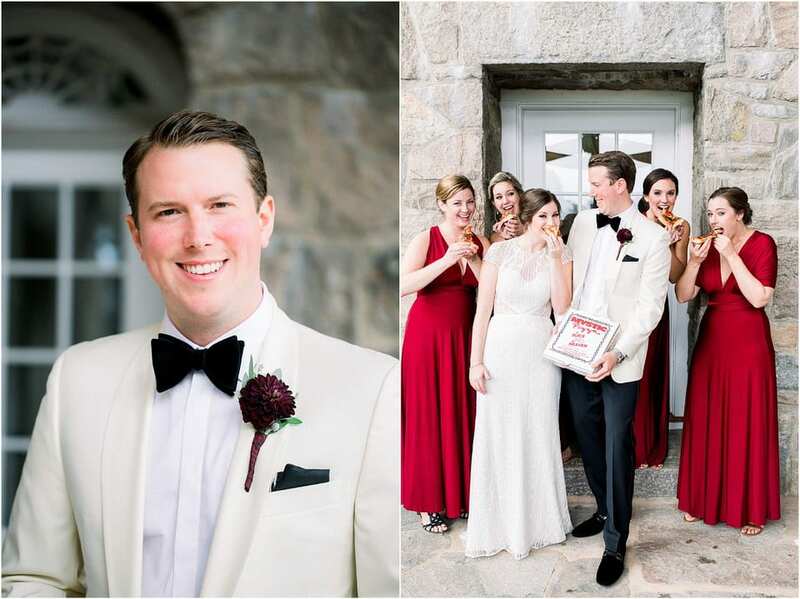 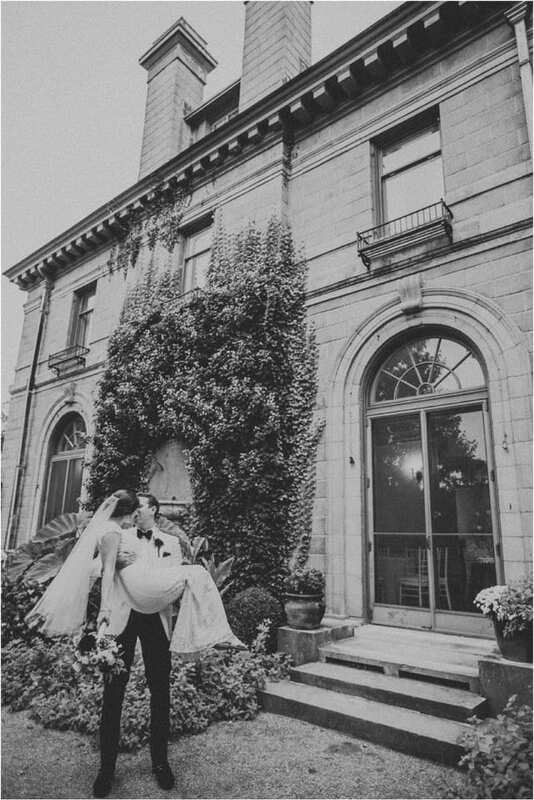 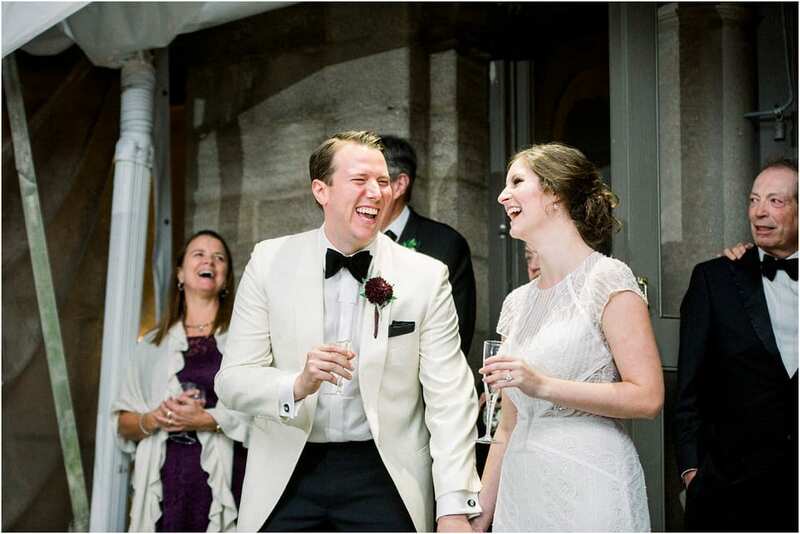 Sam and Grace were married on October 6th with a ceremony and reception at Eiola Mansion at Harkness Park. 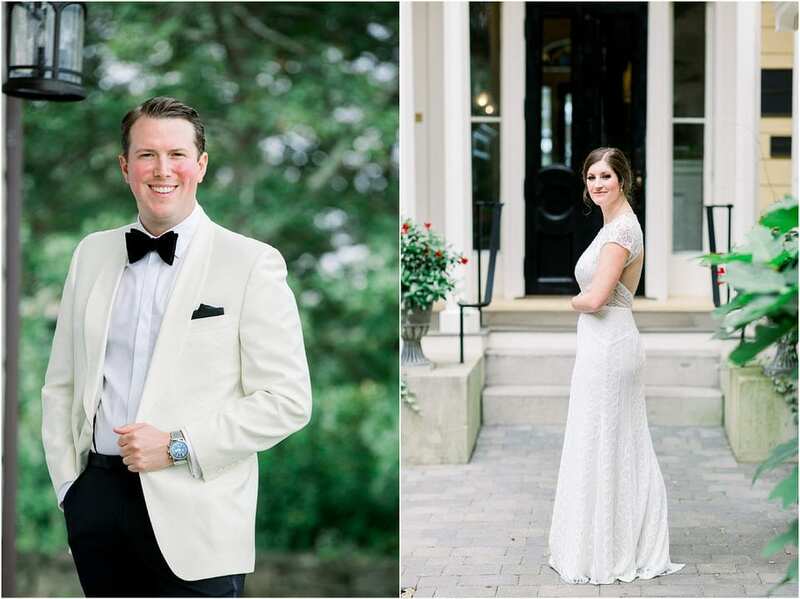 I was lucky enough to have this special couple hire me to be their wedding photographer and traveled to their Manhattan condo for a champagne filled engagement session. 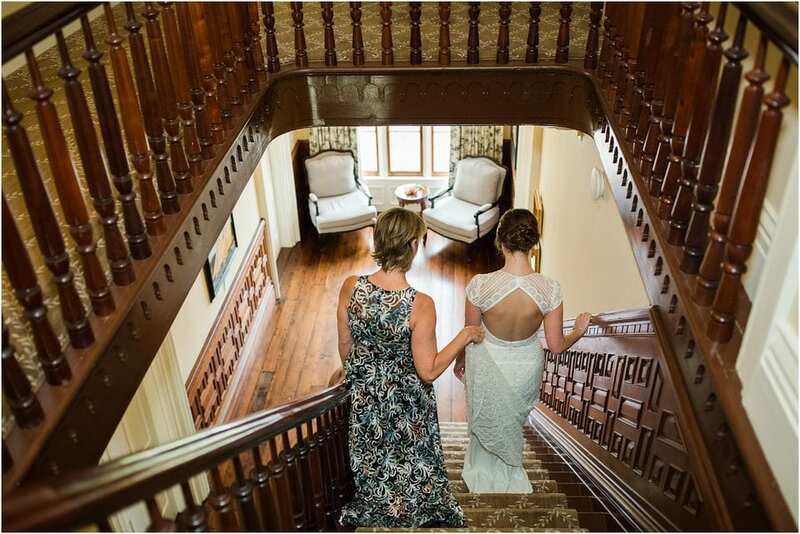 They welcomed me into their home and hearts that day and I knew going forward that their wedding day was going to be a really special one. 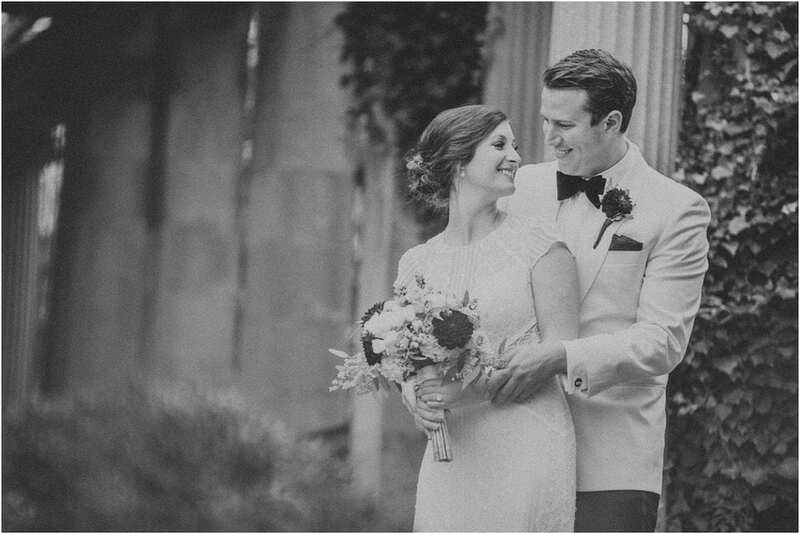 While hanging with them during their engagement session, Sam proudly told me the story of how they fisrt met with a huge smile on his face. 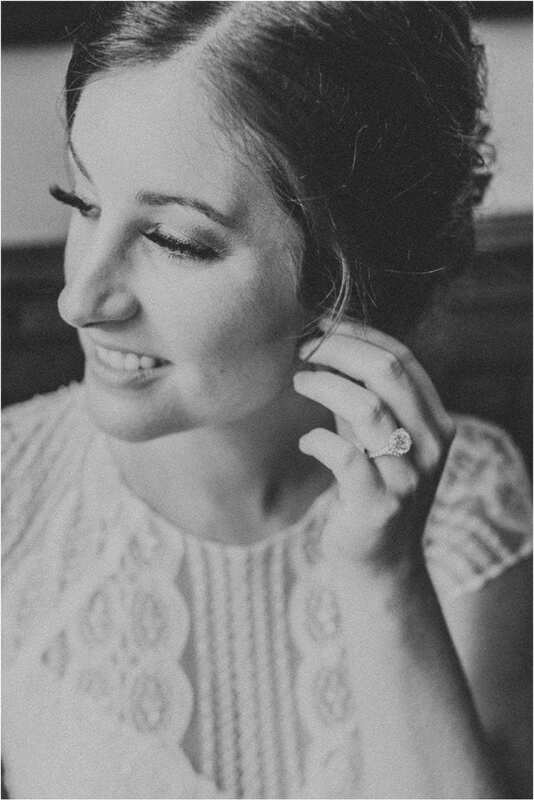 Grace then described how they got engaged which was quite the story! 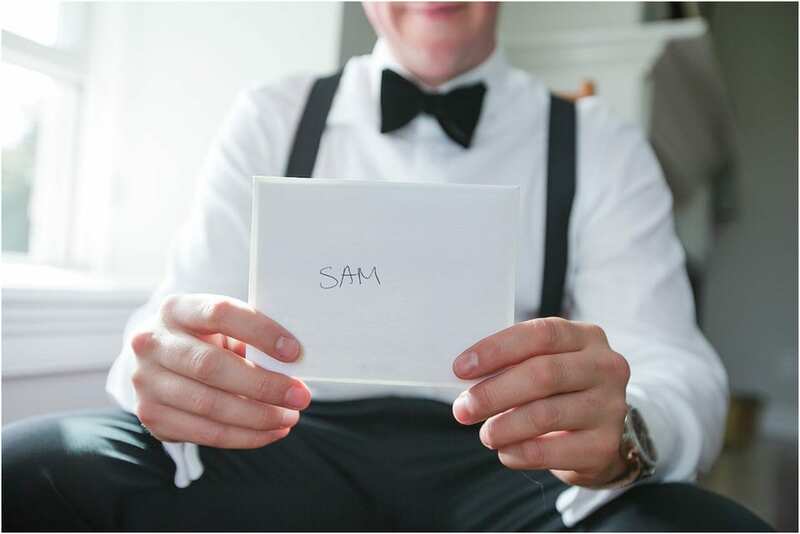 Such a great proposal Sam!!! 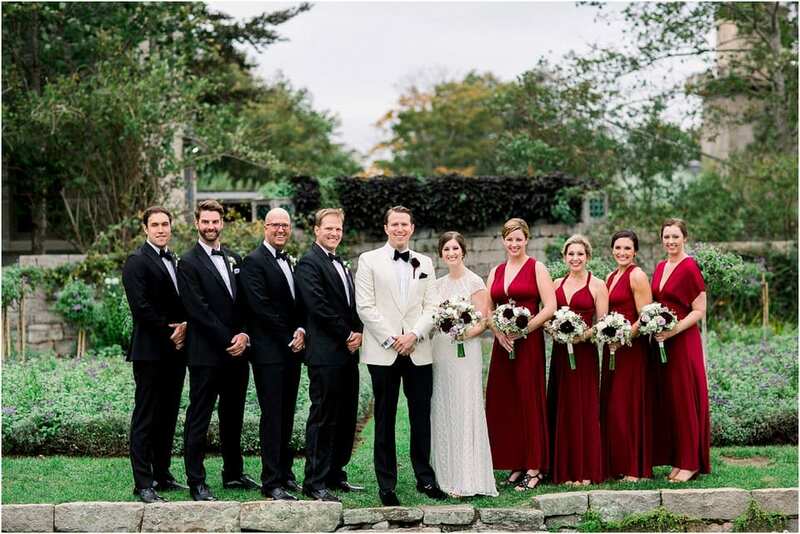 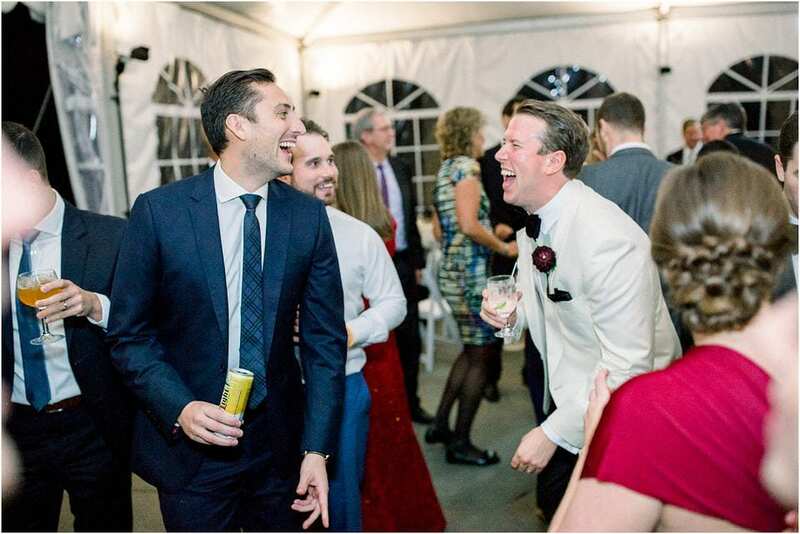 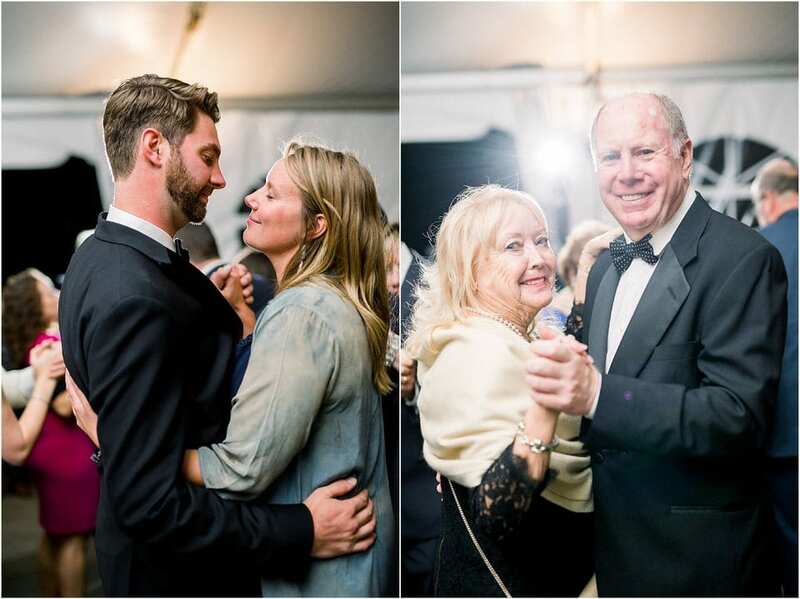 Their wedding day was on a beautiful October day and was warm enough for their tented reception at the Mansion. 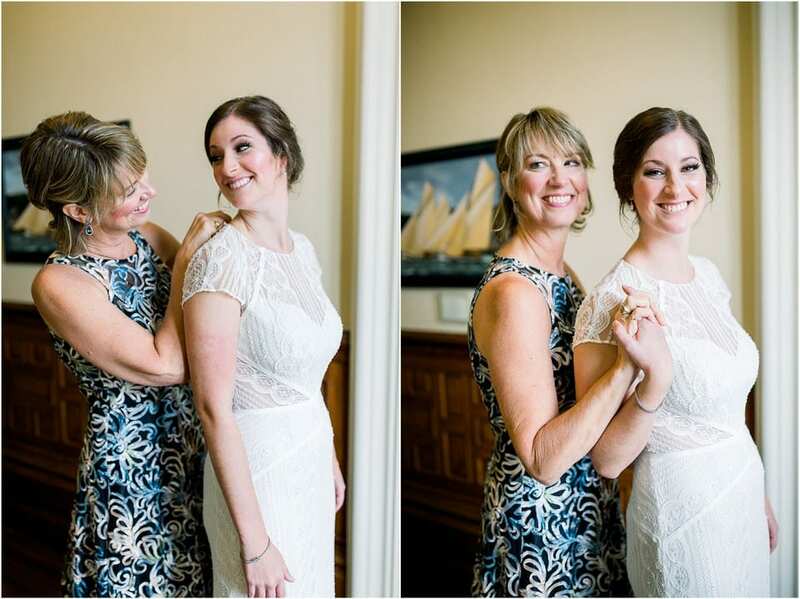 They both chose to get ready at two historic and beautiful buildings. 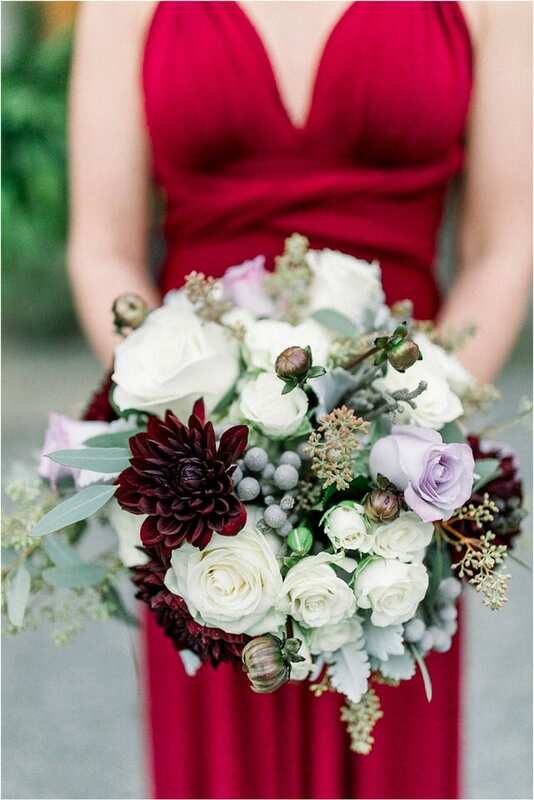 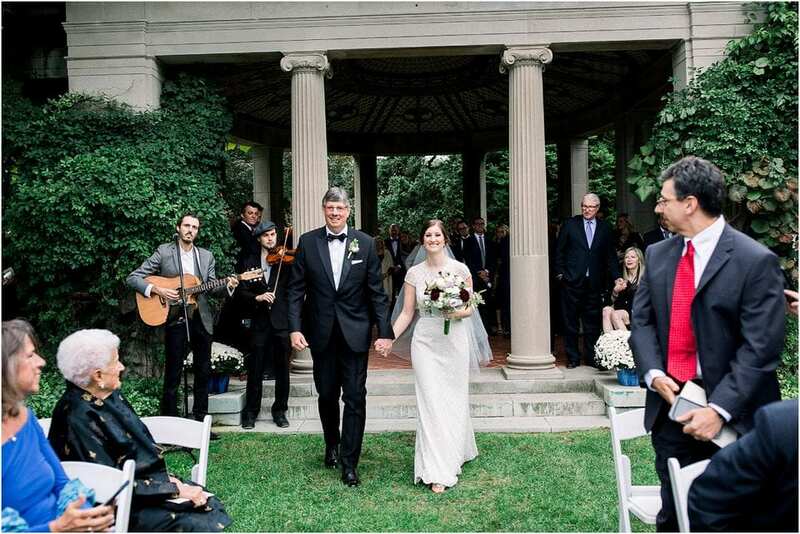 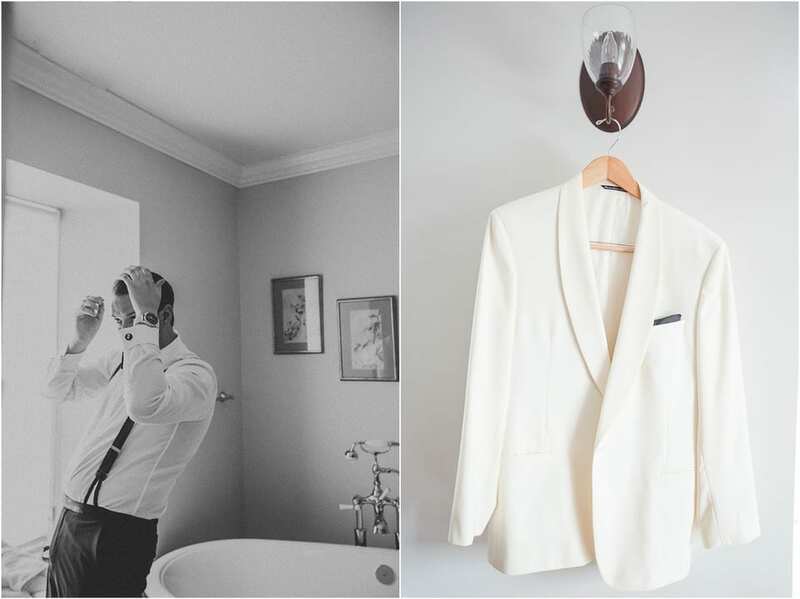 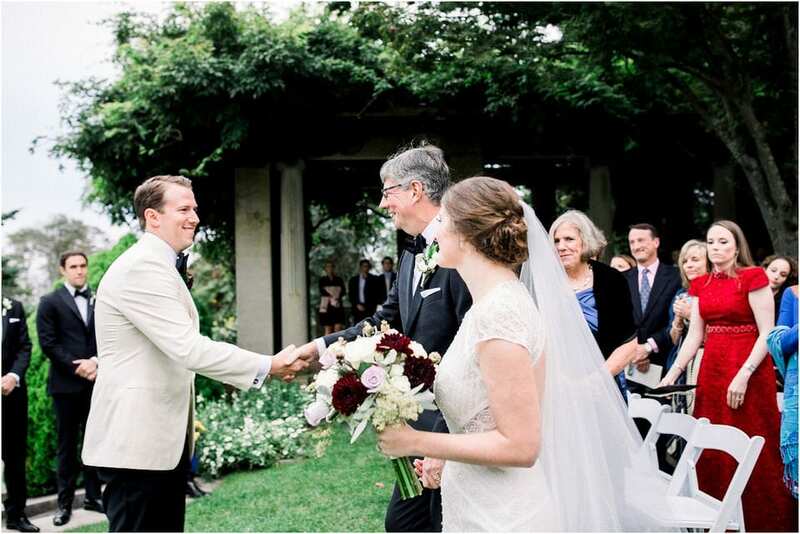 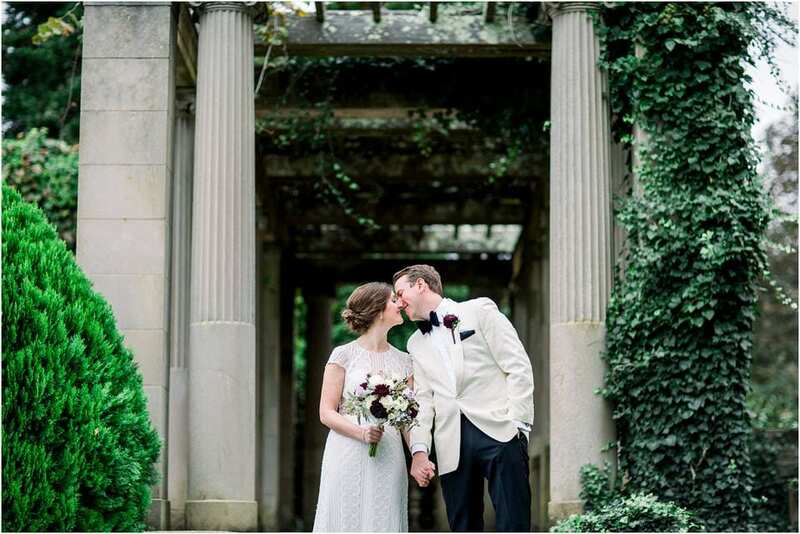 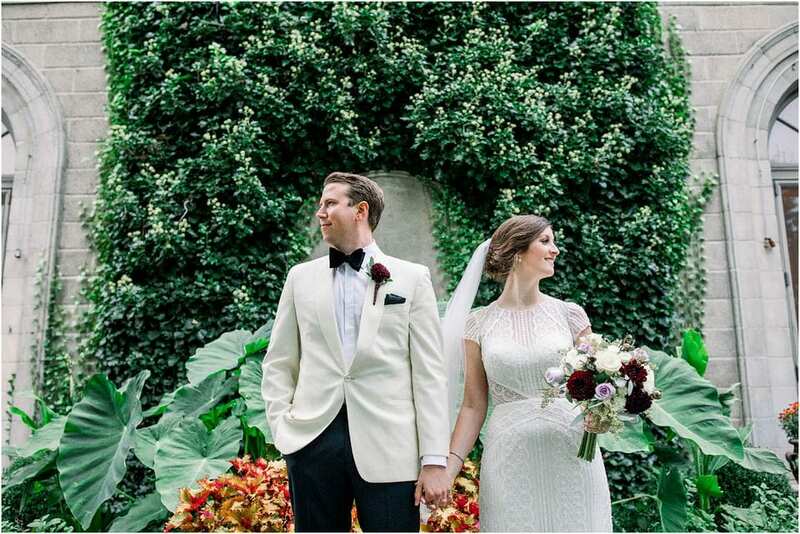 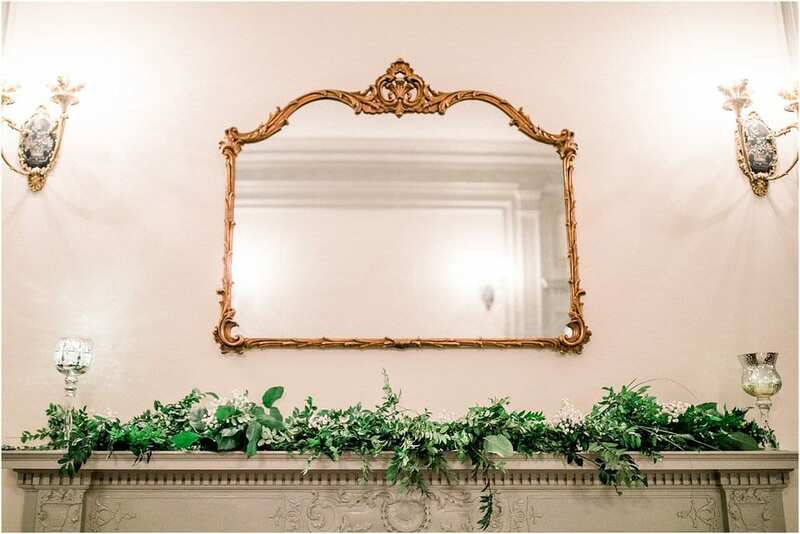 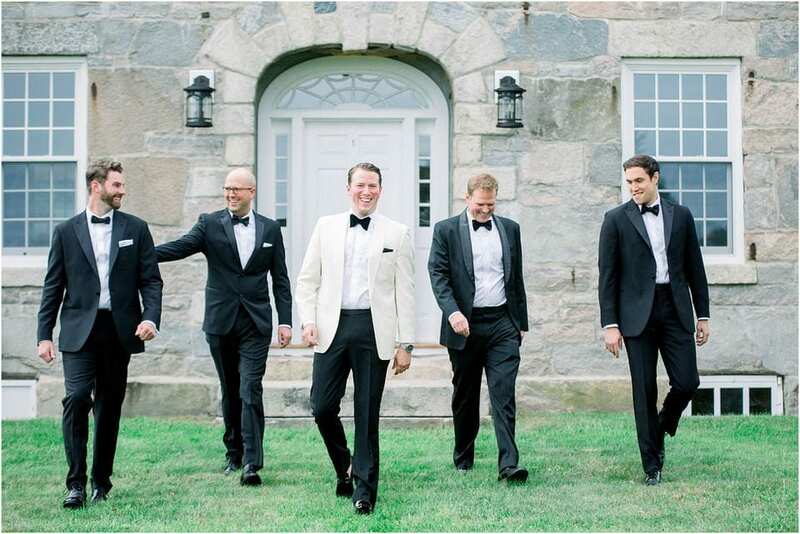 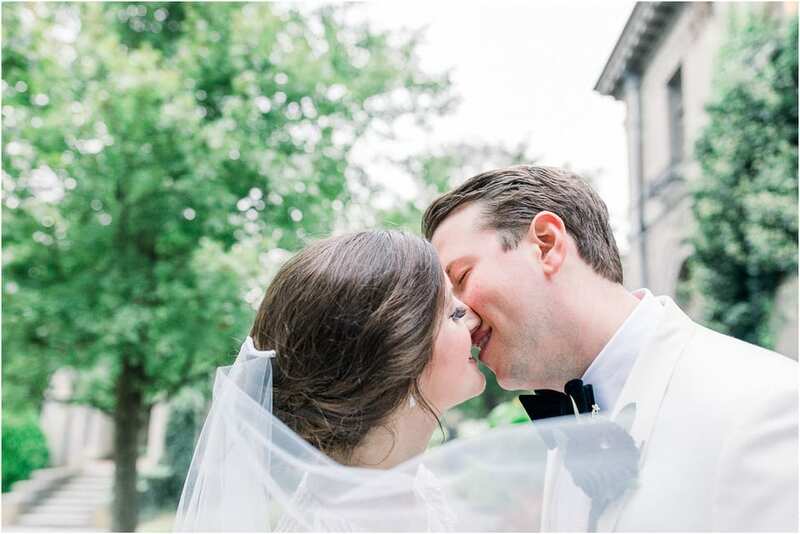 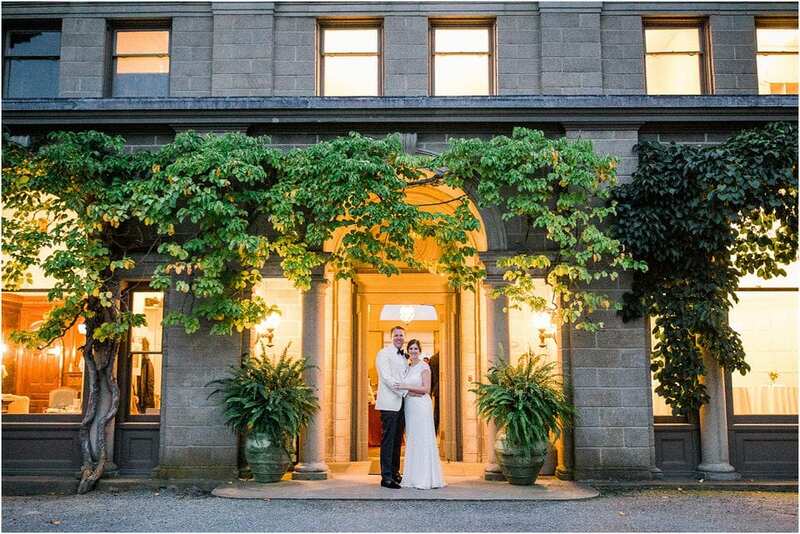 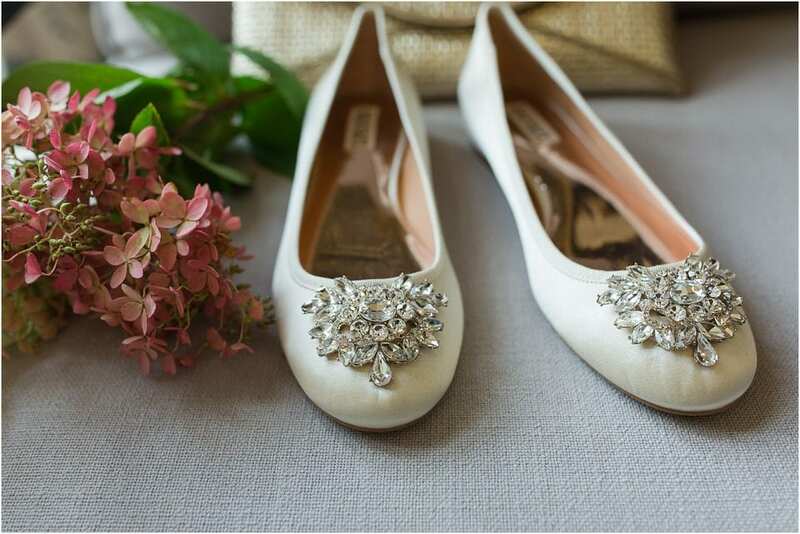 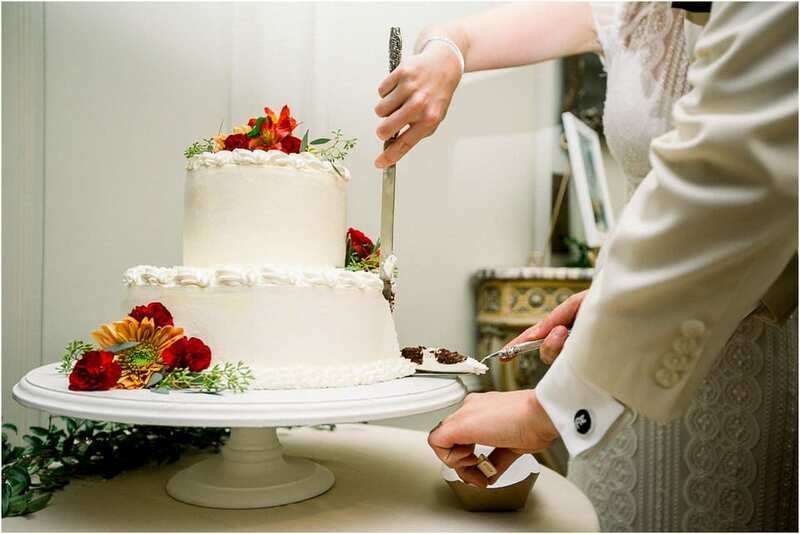 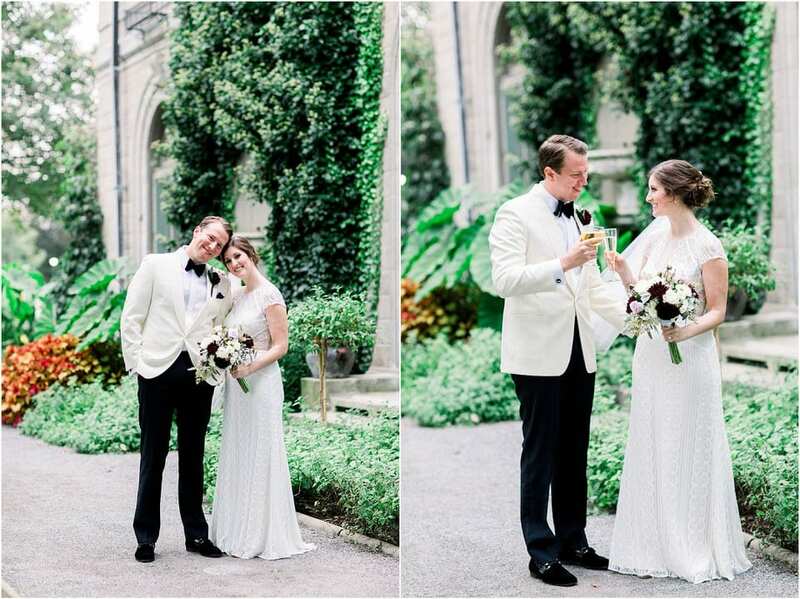 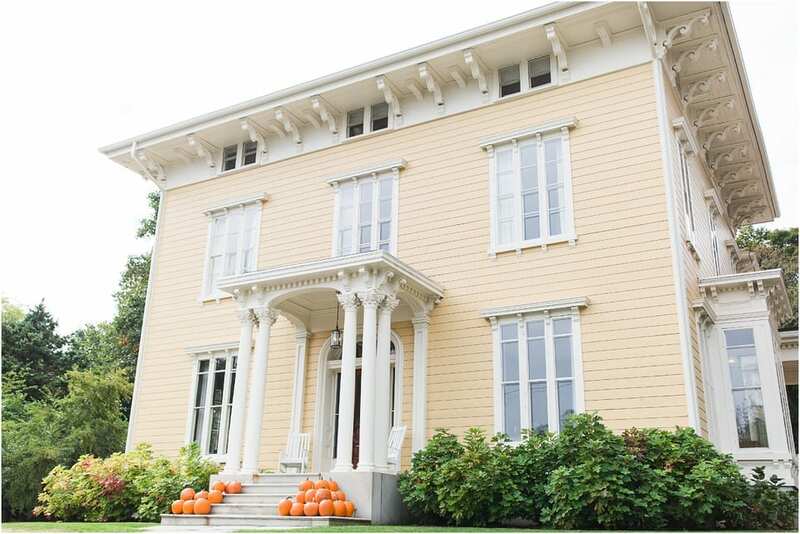 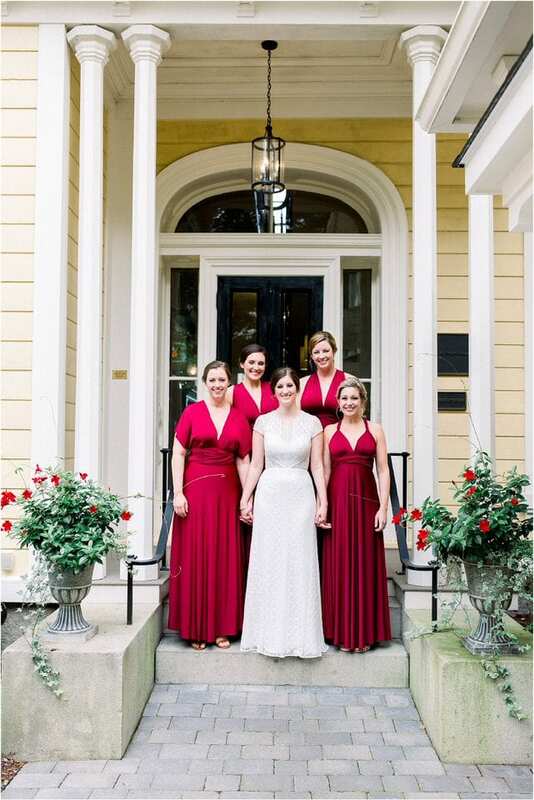 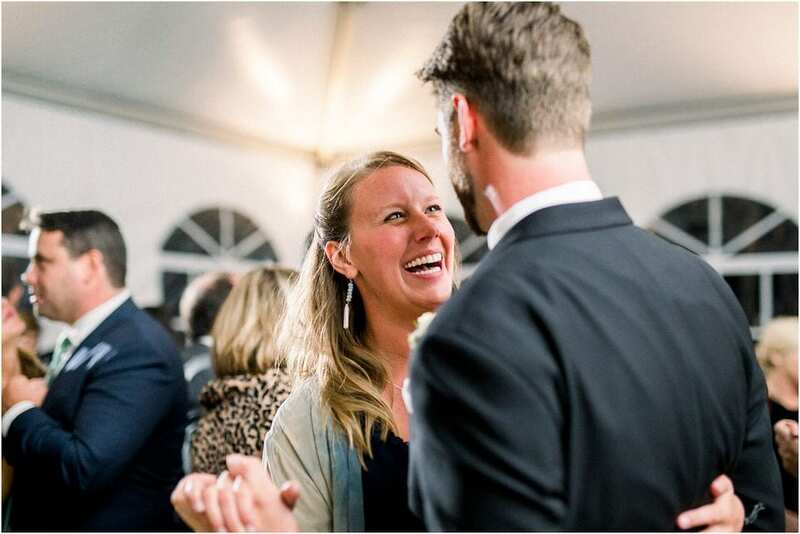 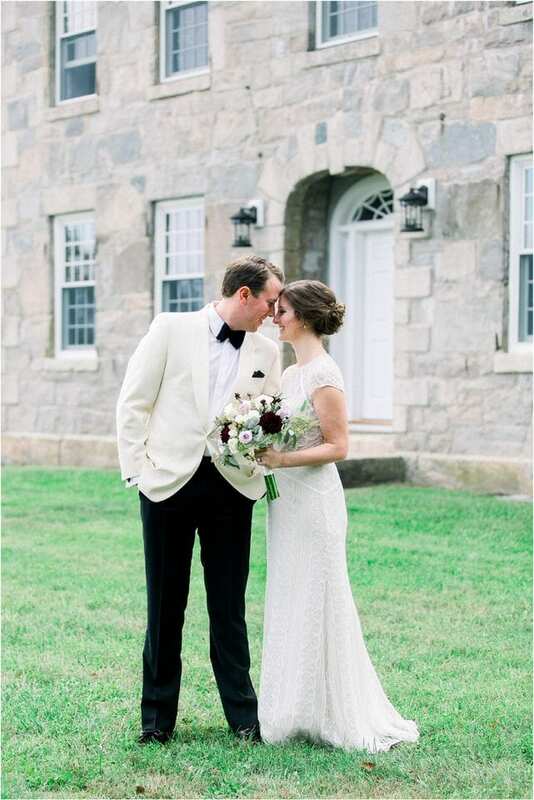 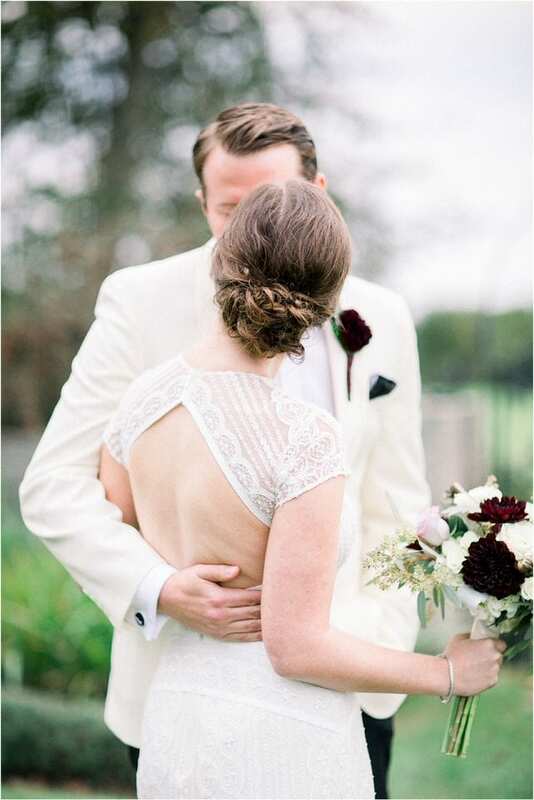 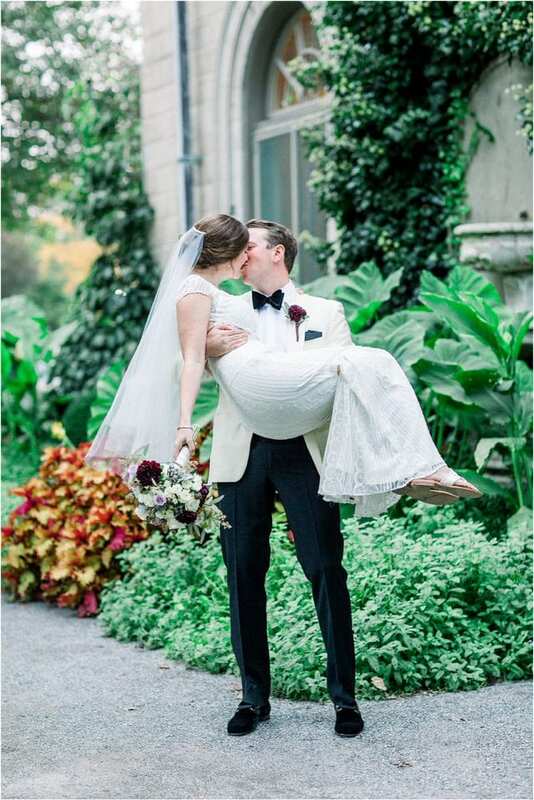 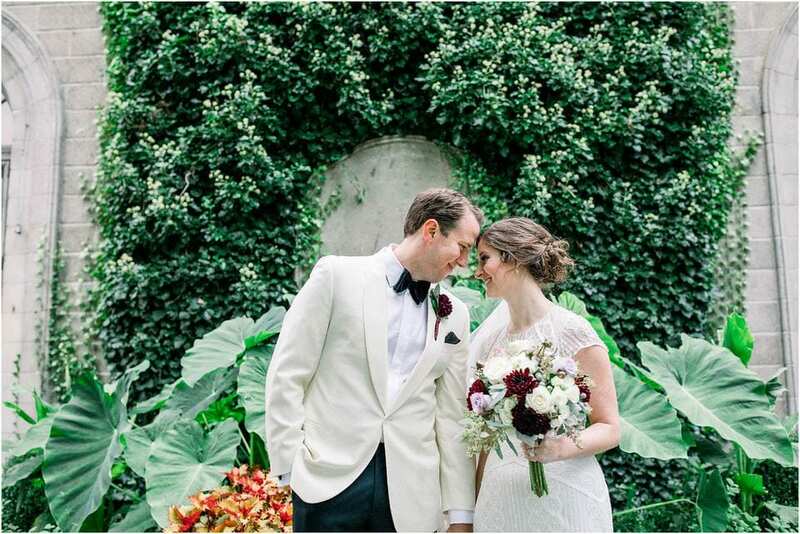 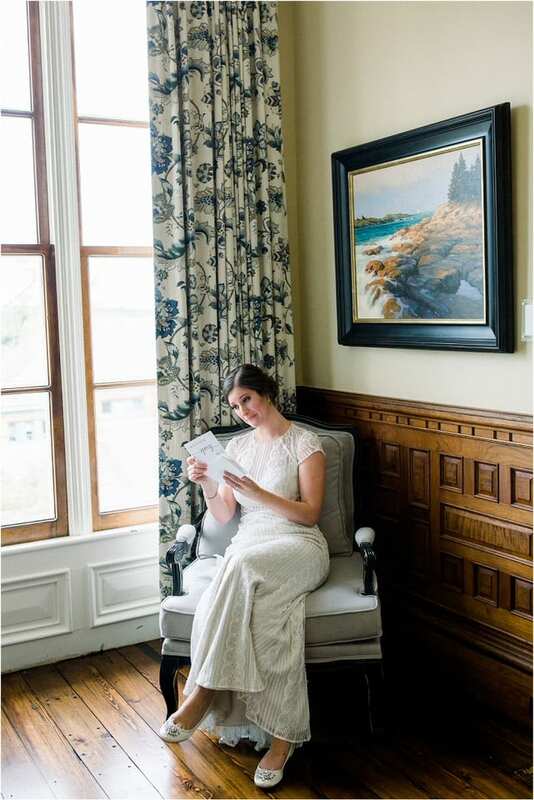 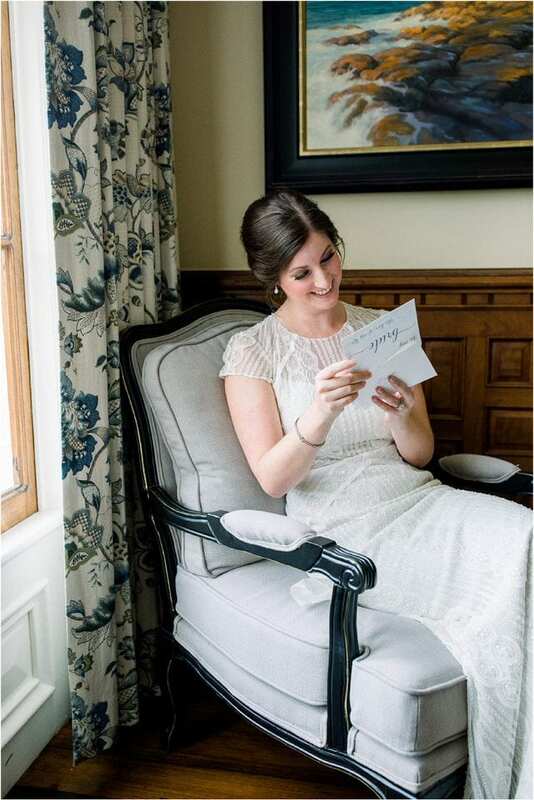 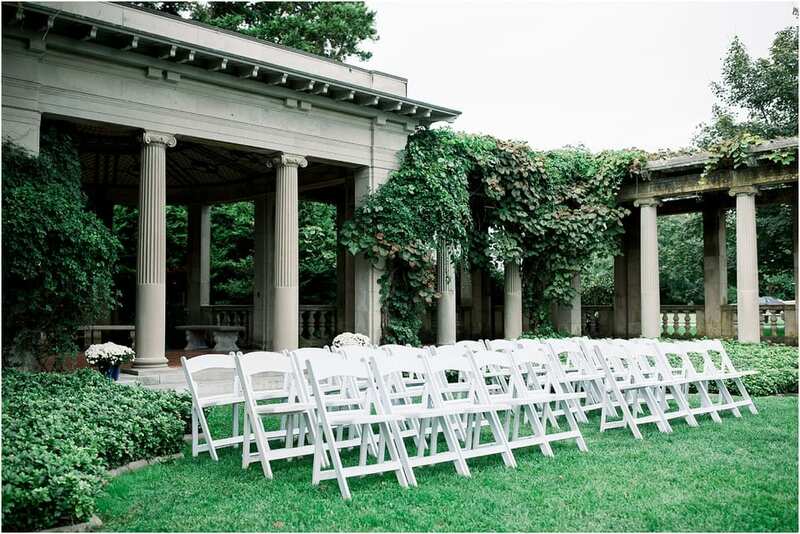 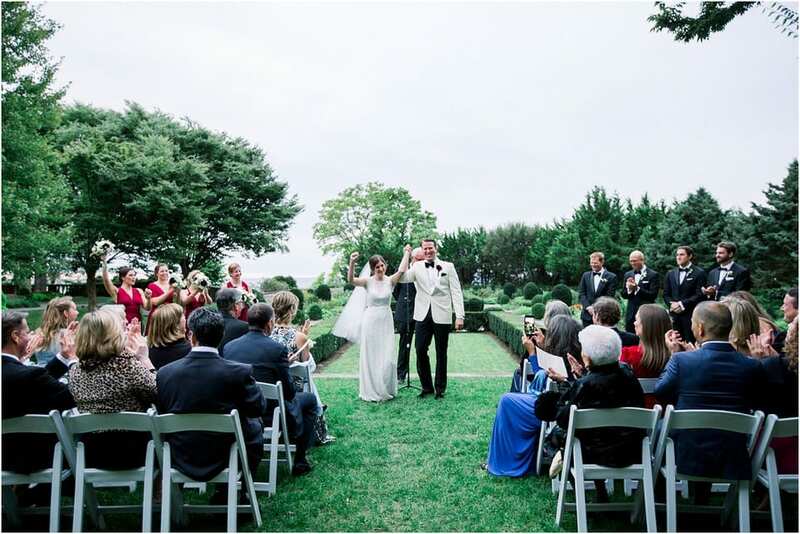 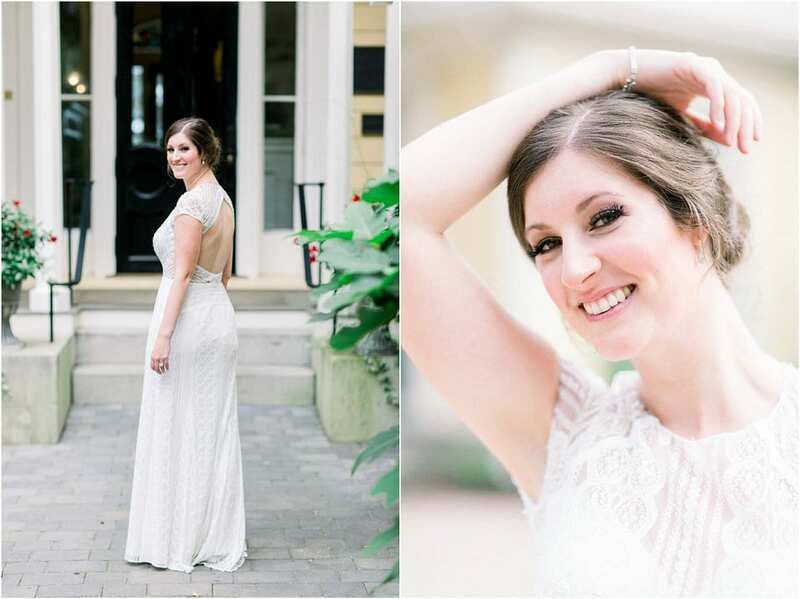 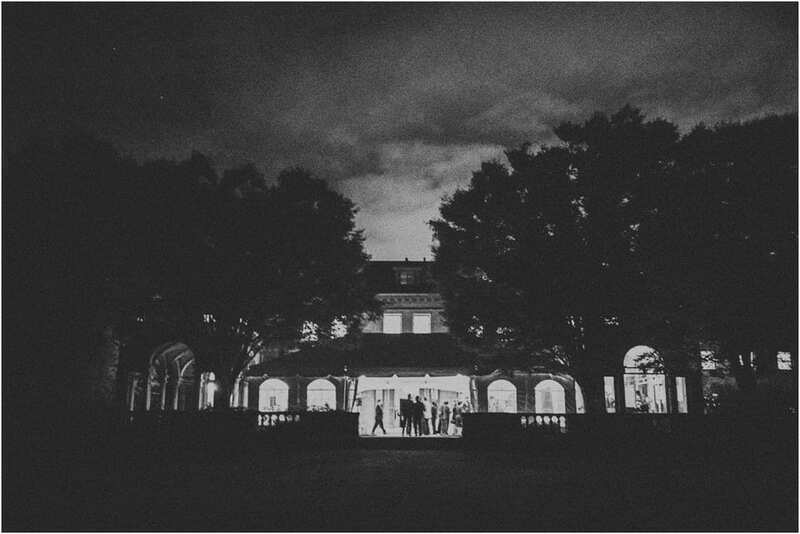 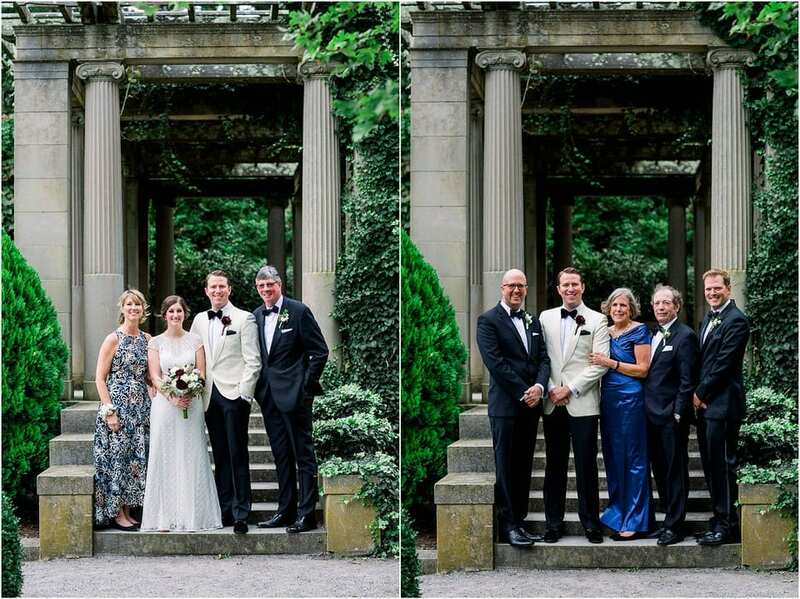 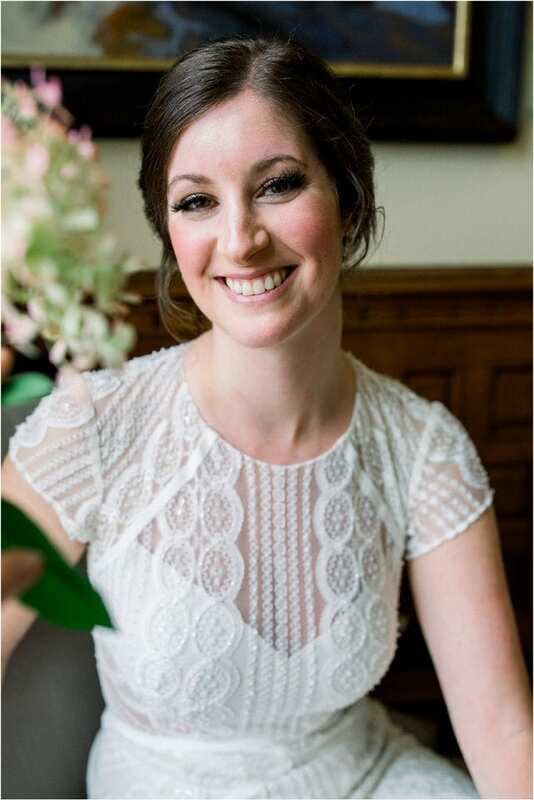 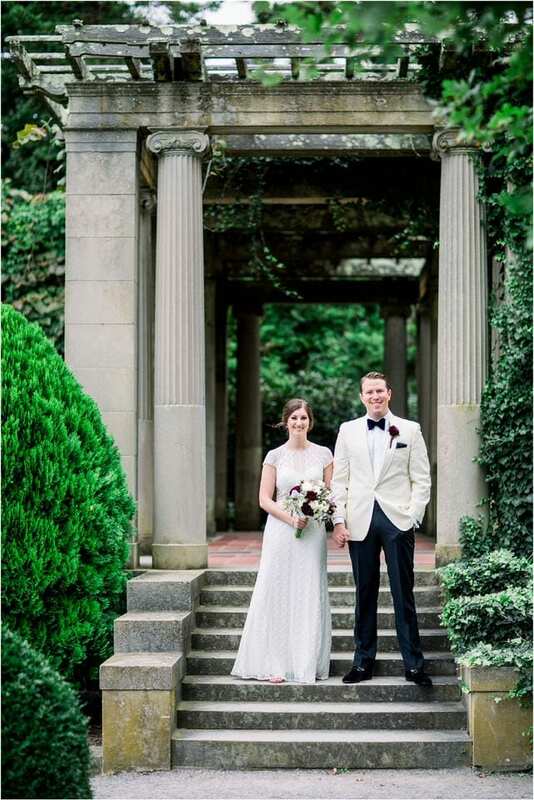 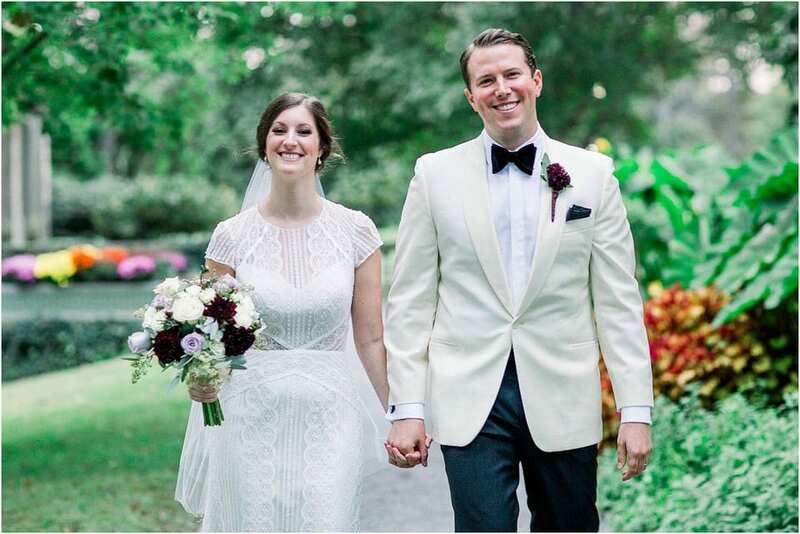 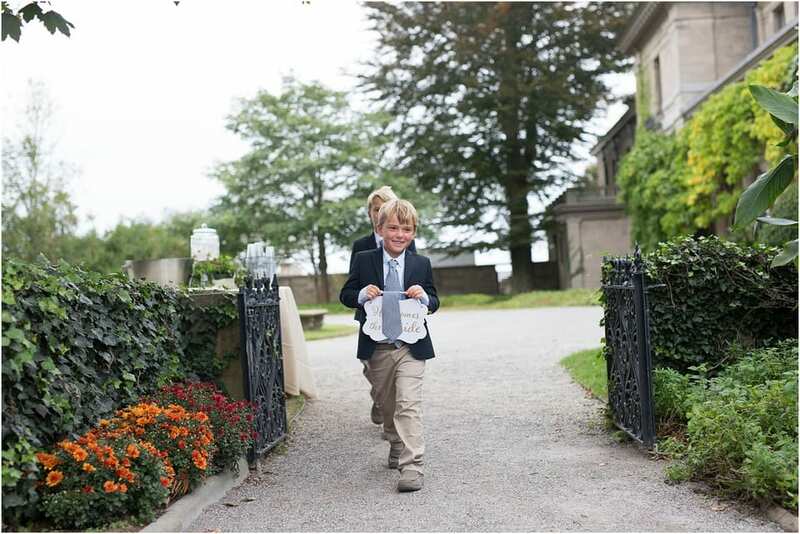 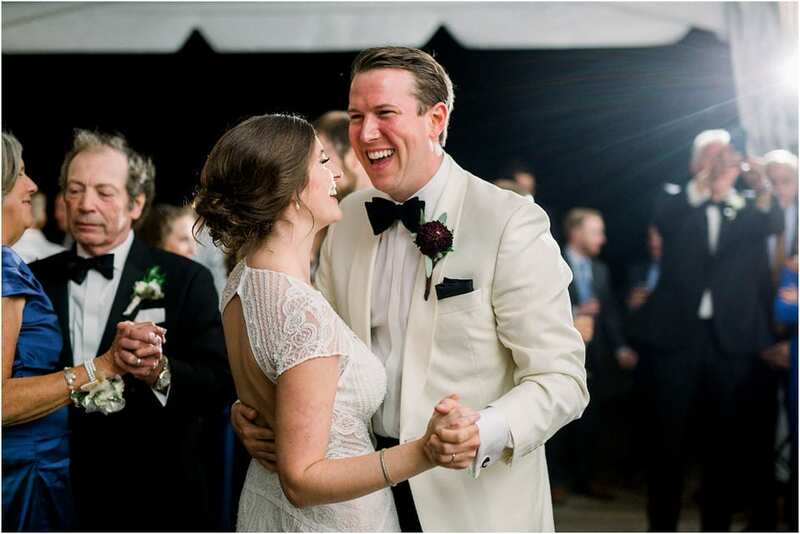 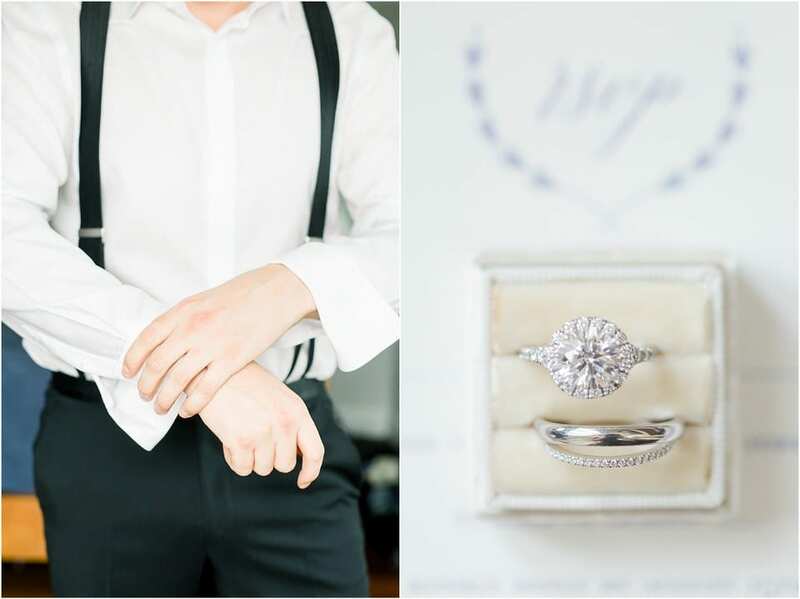 Grace got ready at Spicer Mansion, a meticulously renovated mansion dated back to 1853. 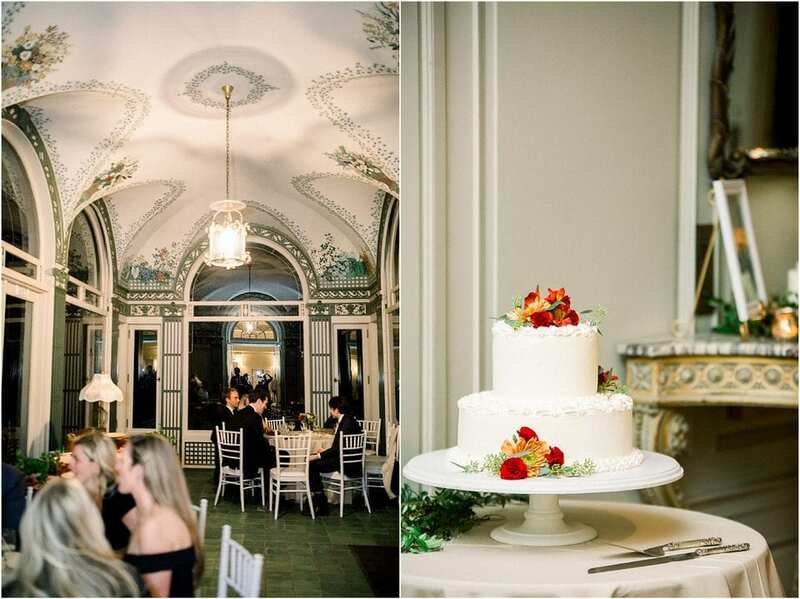 Original woodwork swept across the floors and original murals were painted on the ceilings. 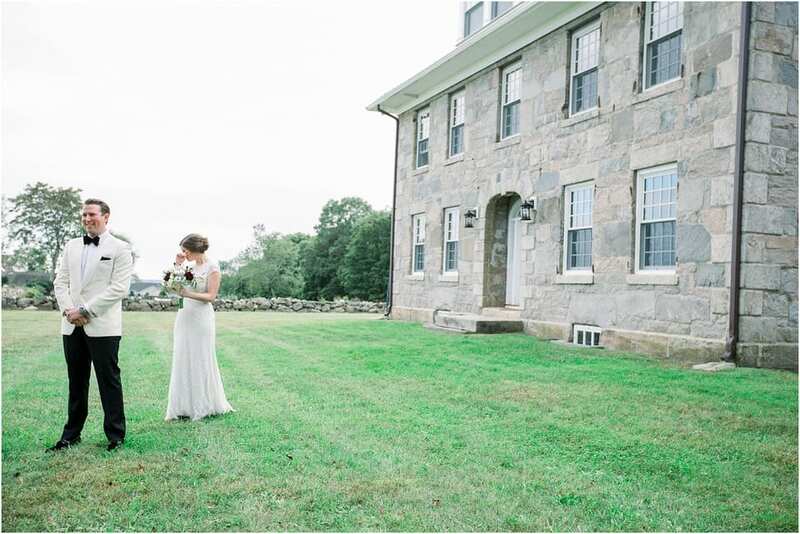 Sam started his morning at another historic Stonington Gem, The StoneHouse. 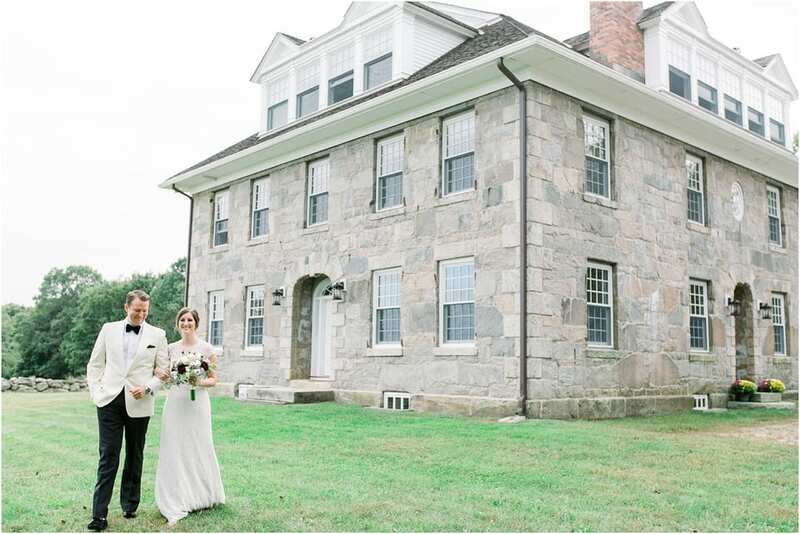 The Stone House was originally built in 1825 and it burned in 1924. 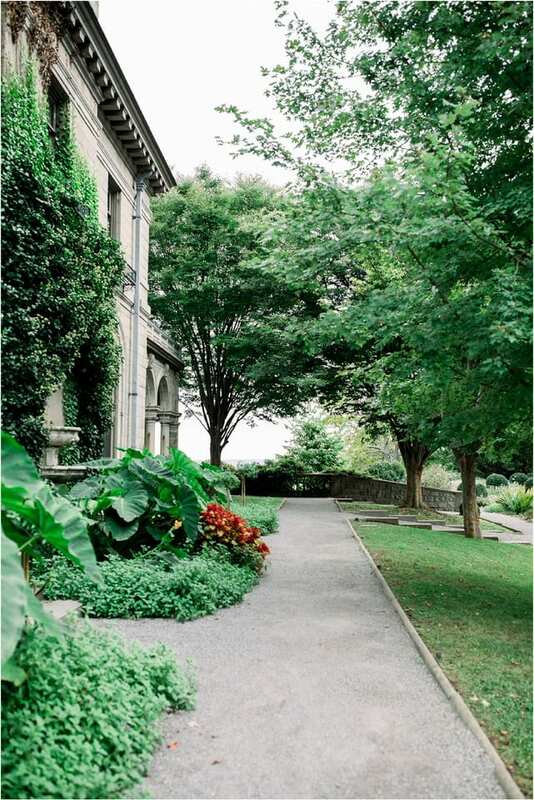 It stood as a stone ruin and local landmark for the next 90 years until it was rebuilt. 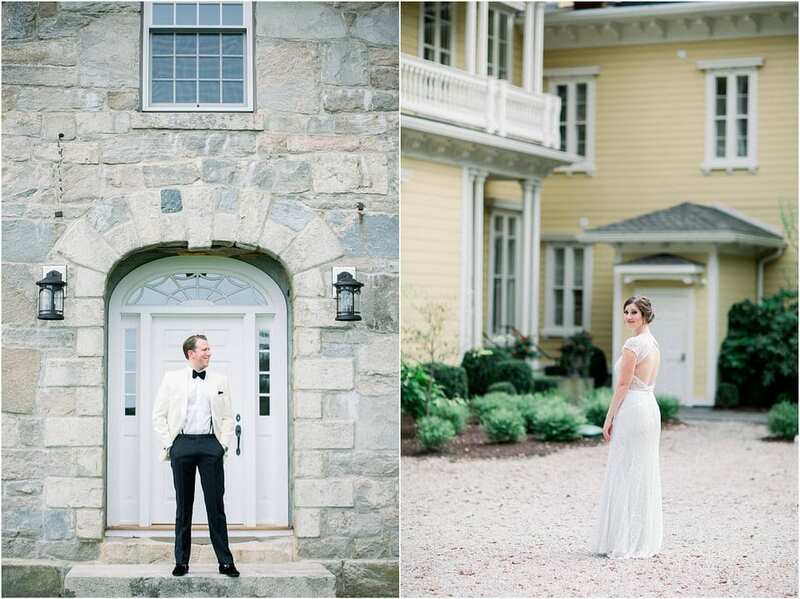 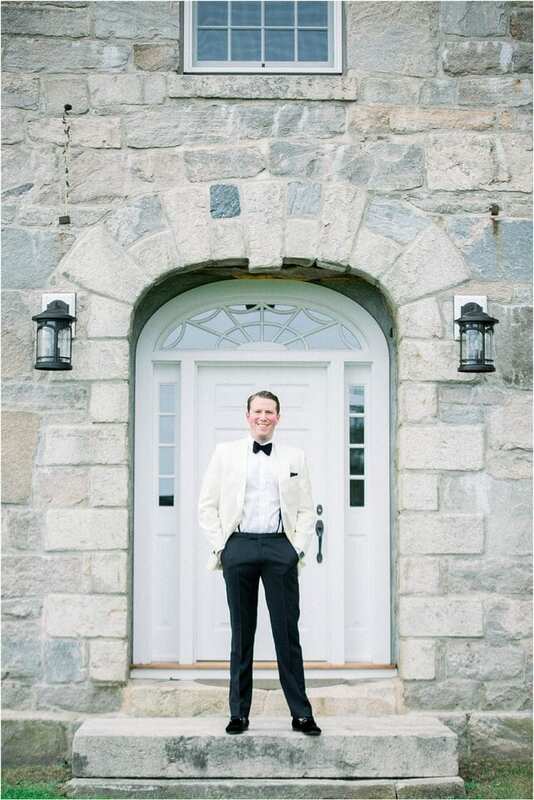 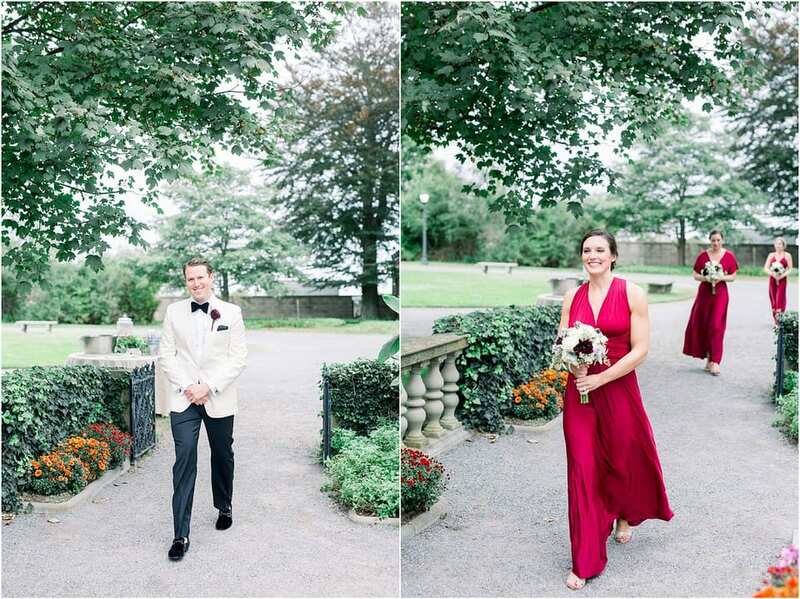 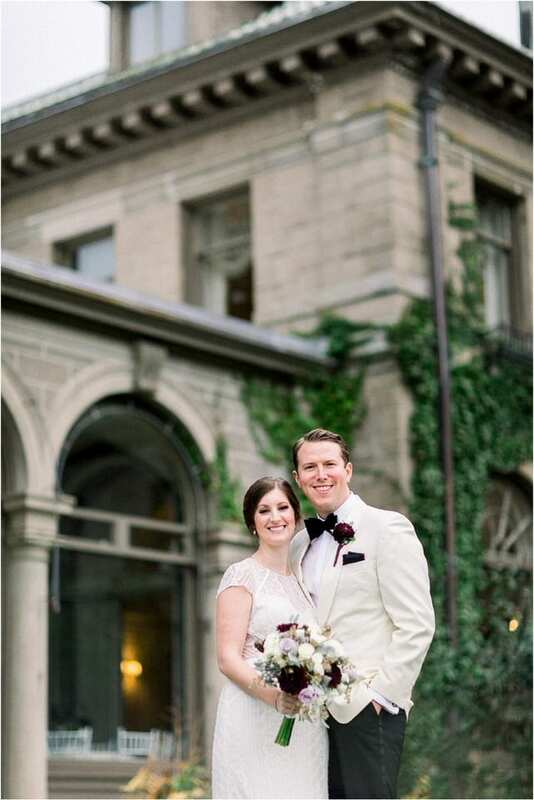 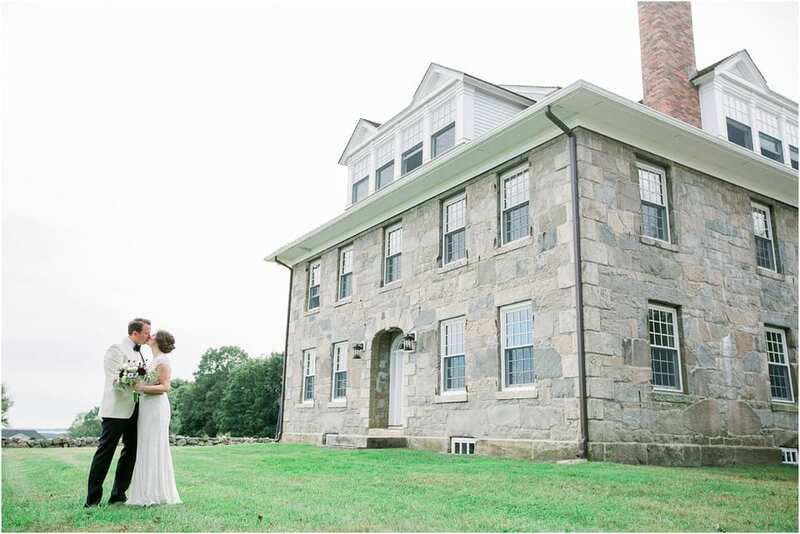 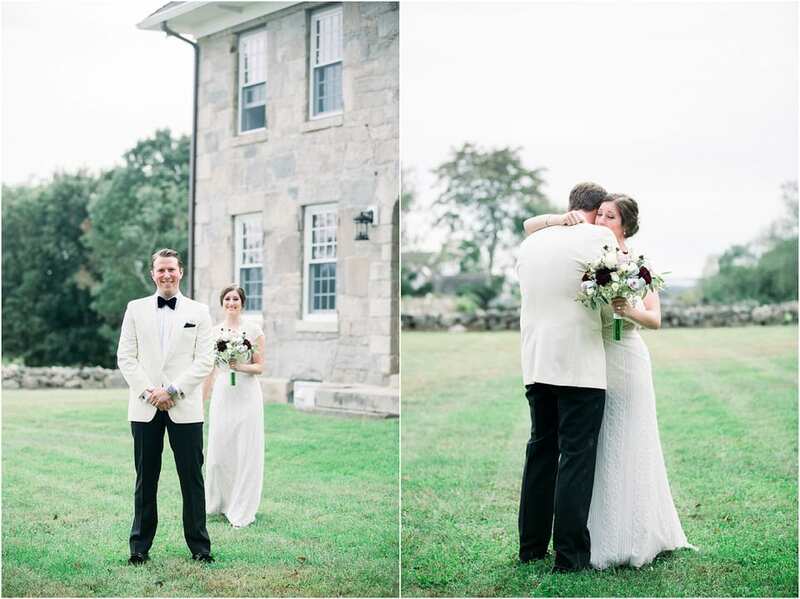 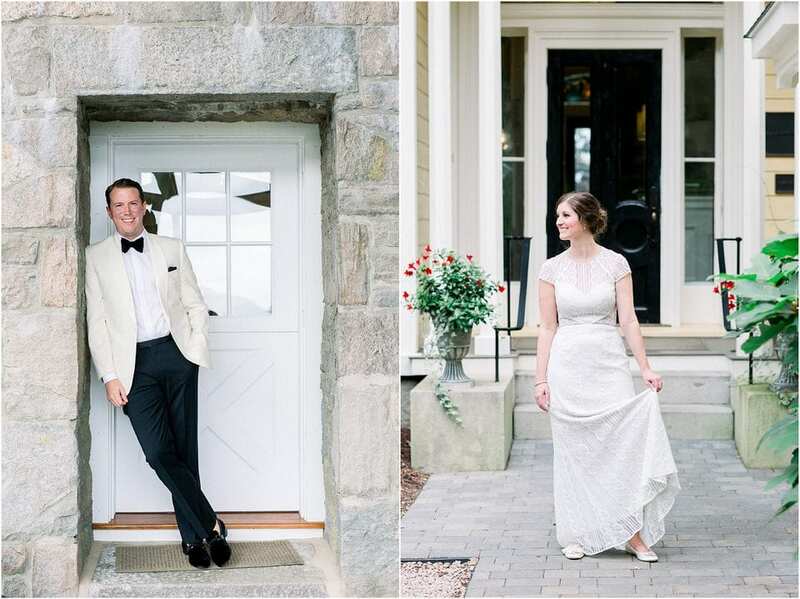 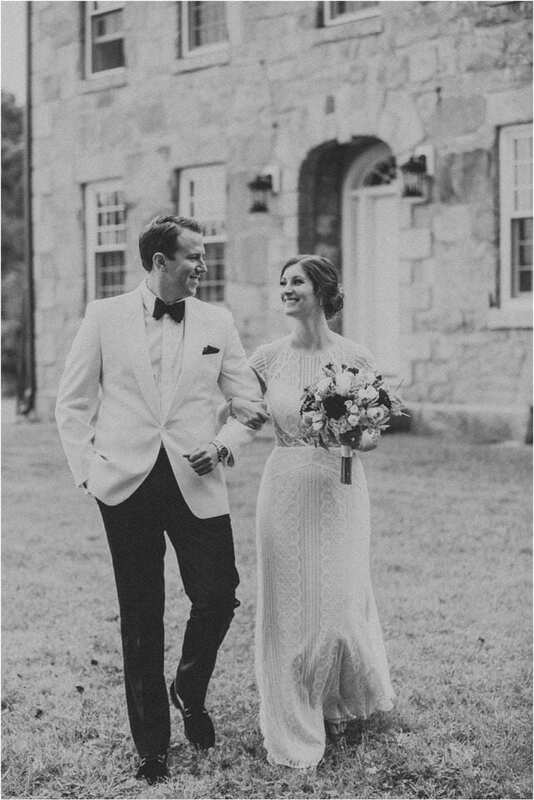 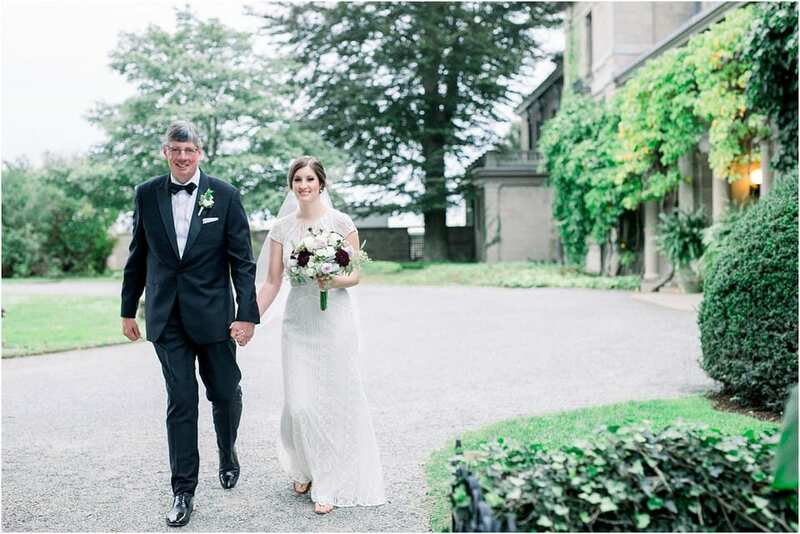 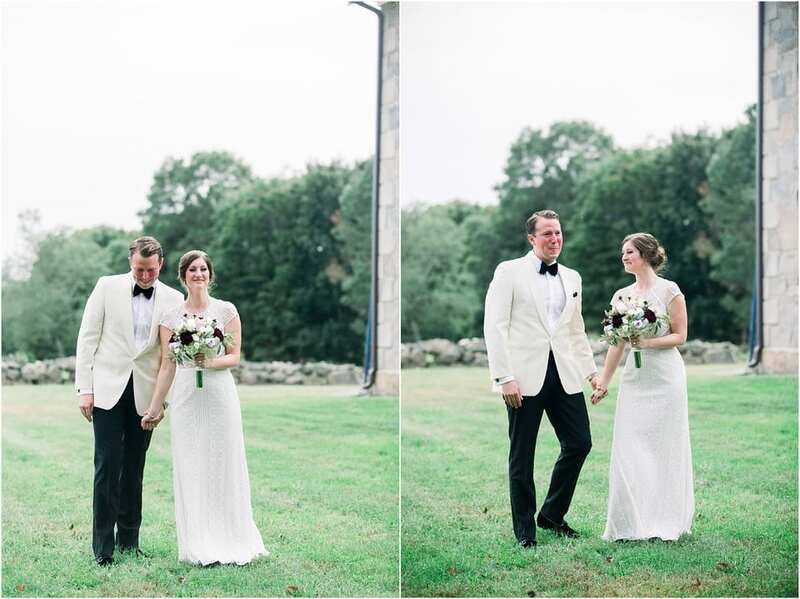 Sam and Grace shared their first look in front of the Stone House before then heading to Harkness Park for the ceremony. 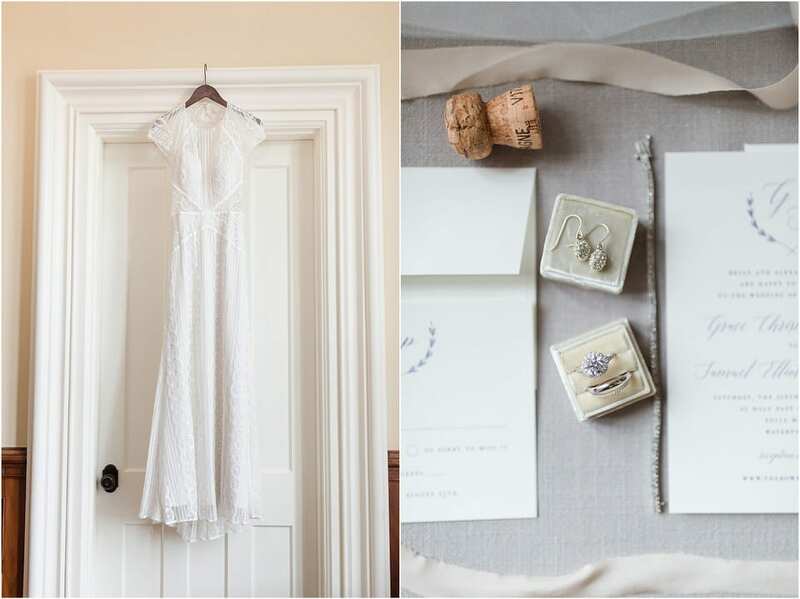 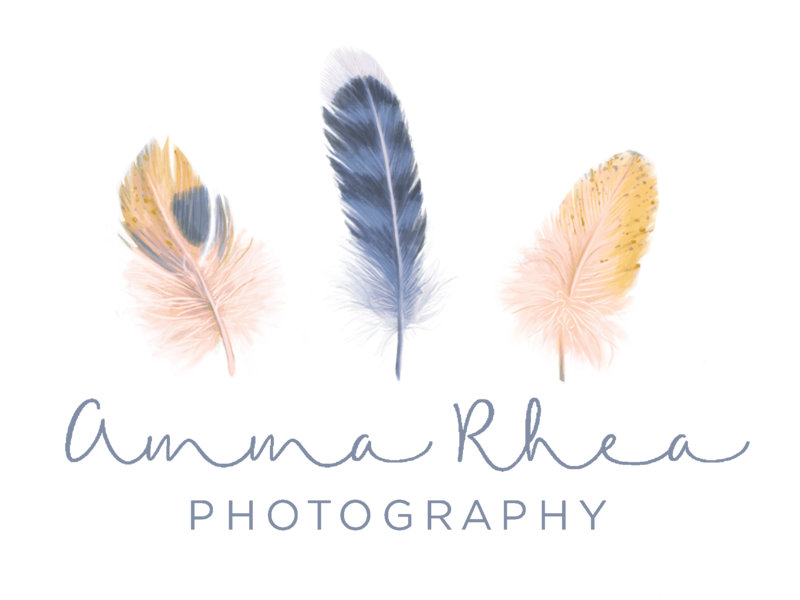 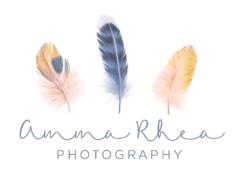 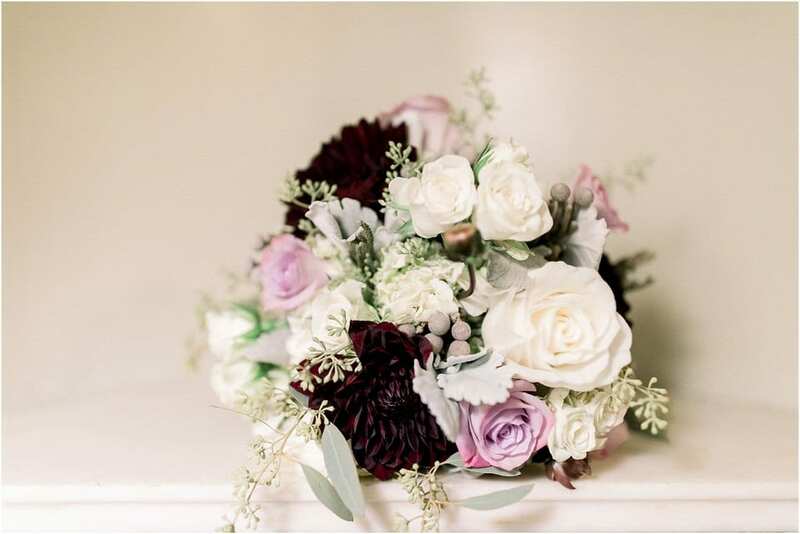 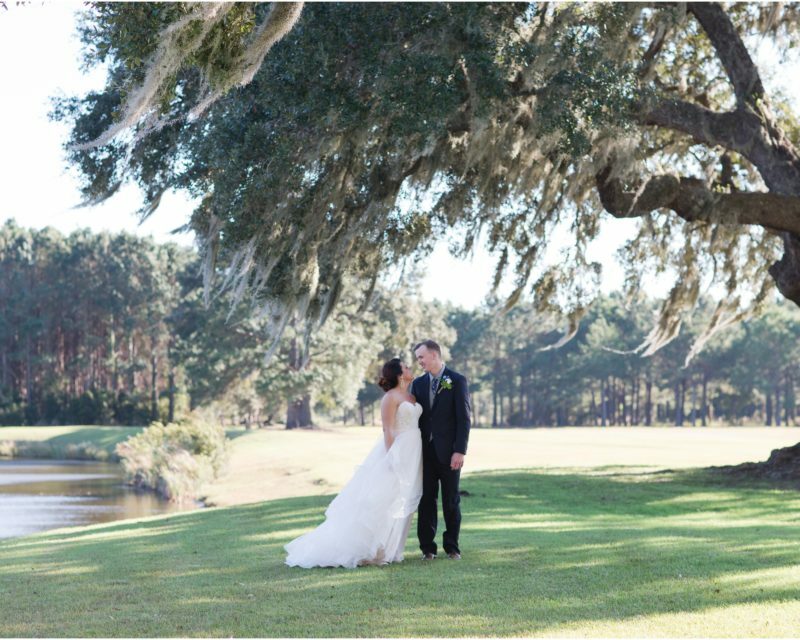 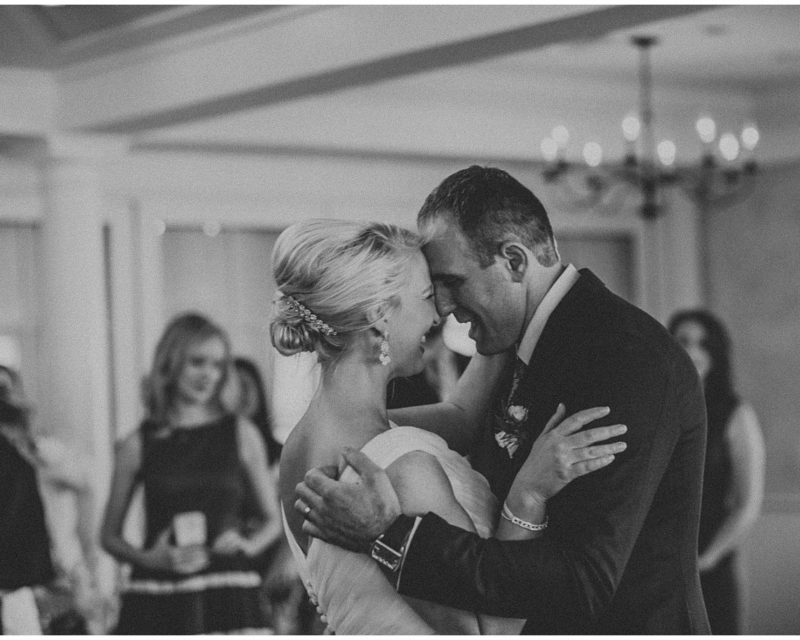 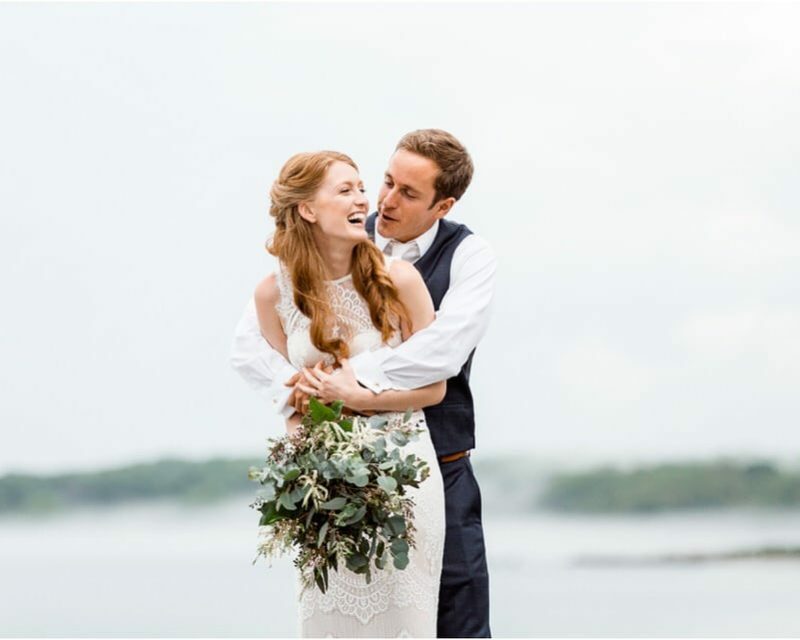 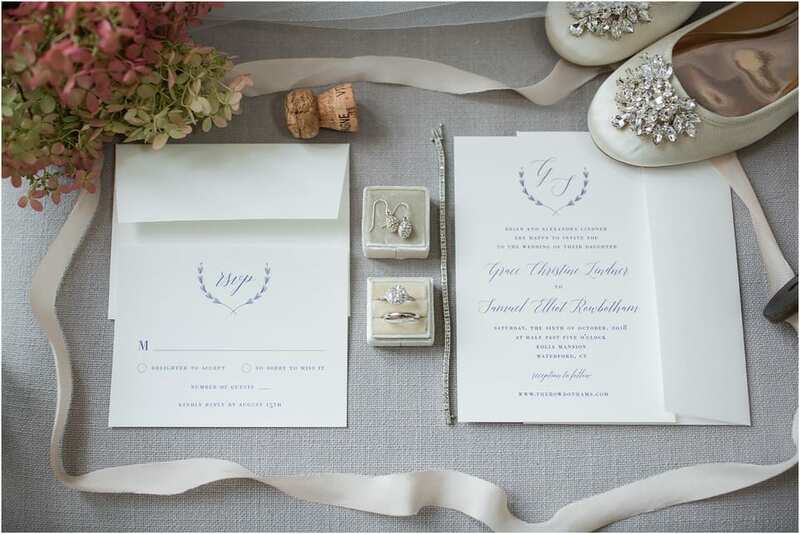 Sam and Grace dreamed up such an inviting, beautiful and thoughtful wedding. 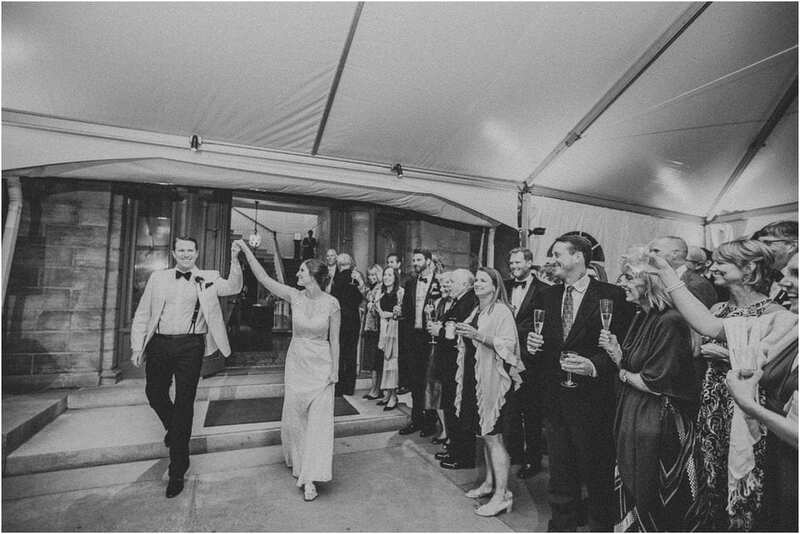 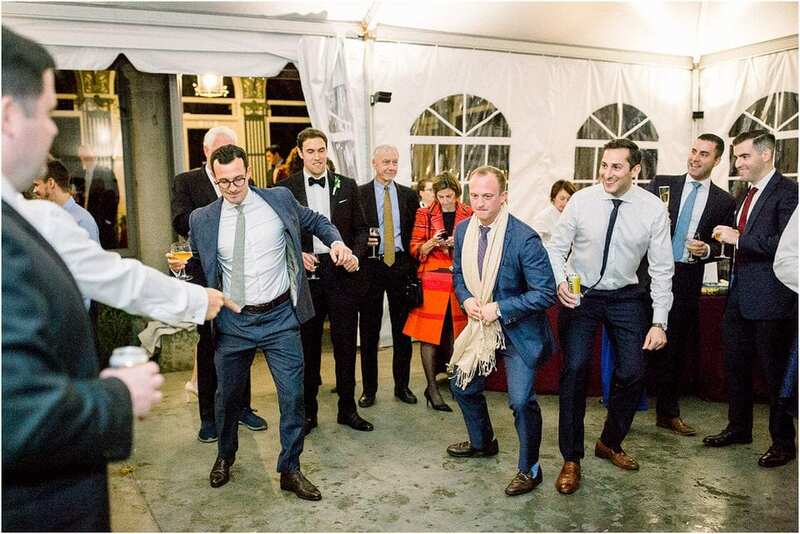 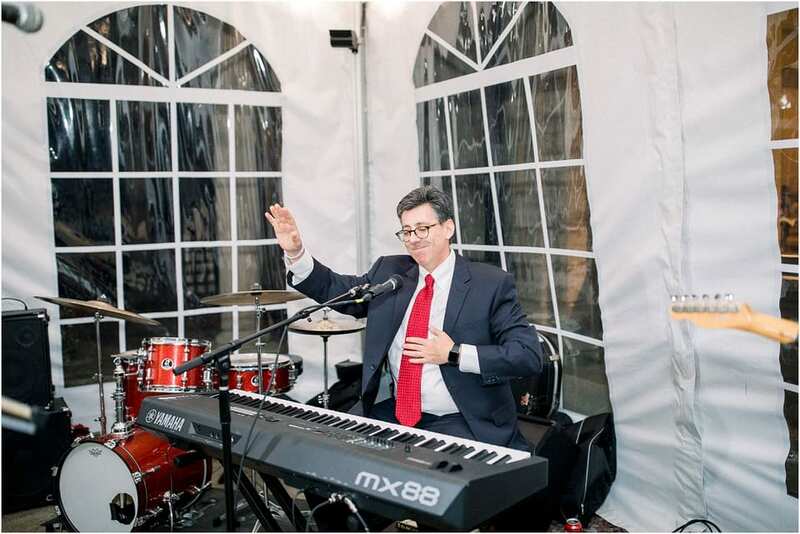 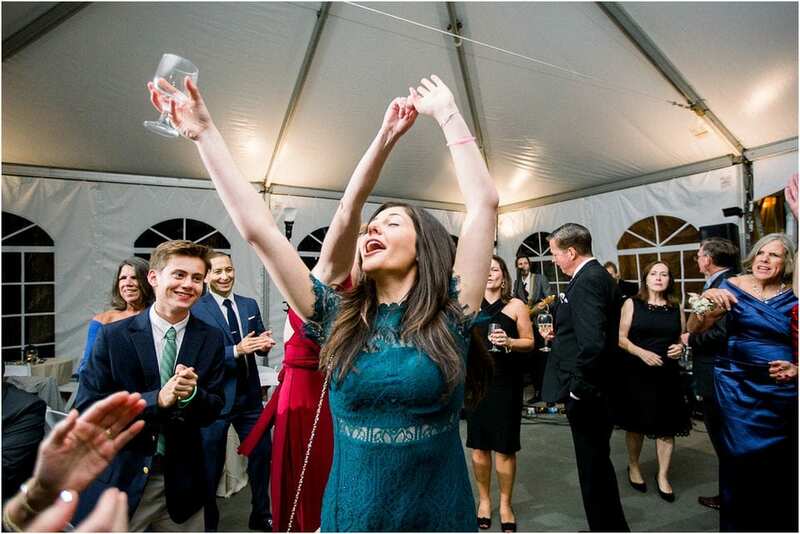 They chose a buffet style dinner without assigned seating so guests could mingle and dance as they pleased. 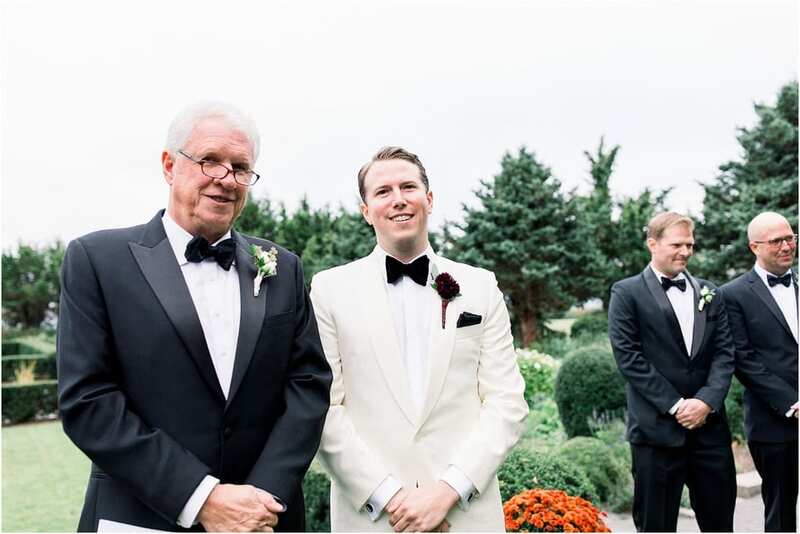 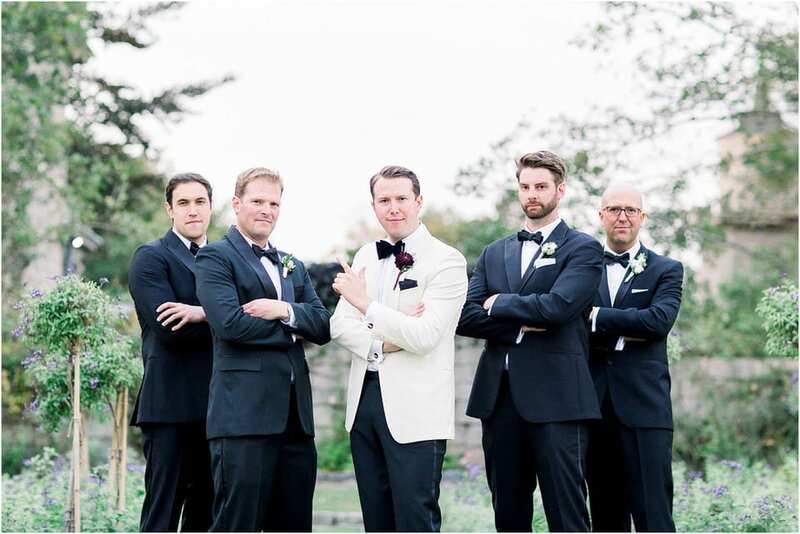 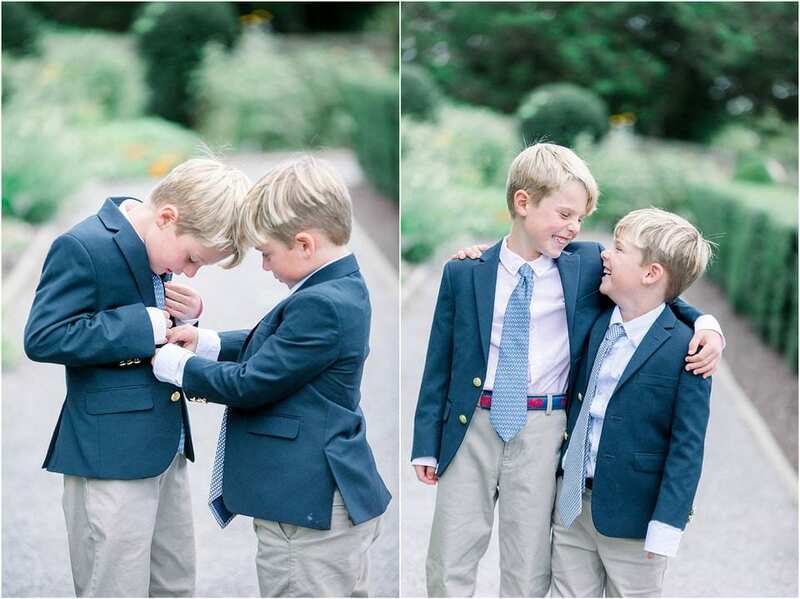 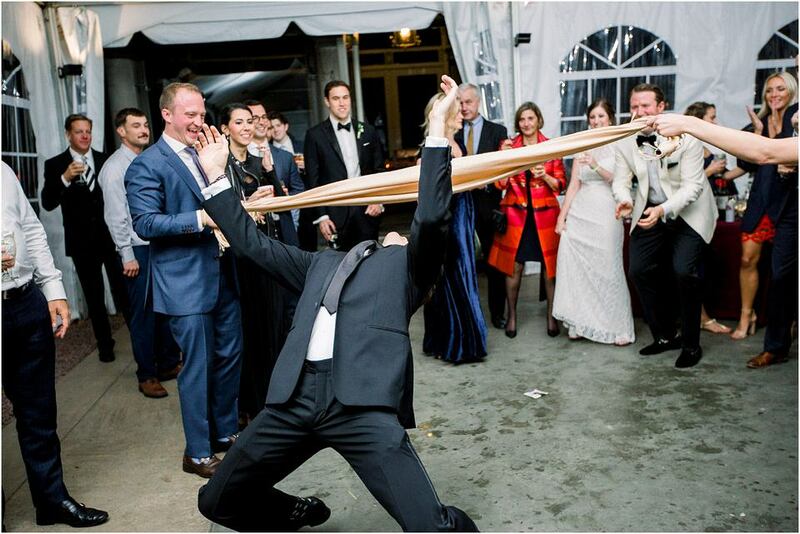 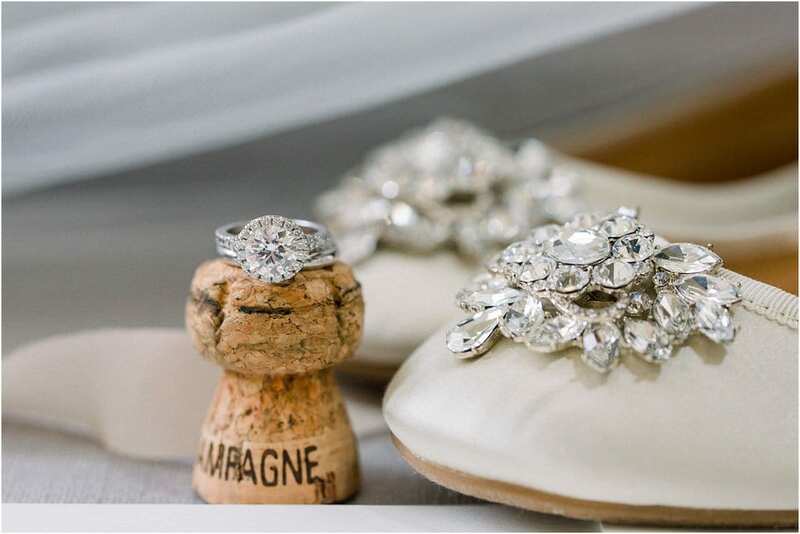 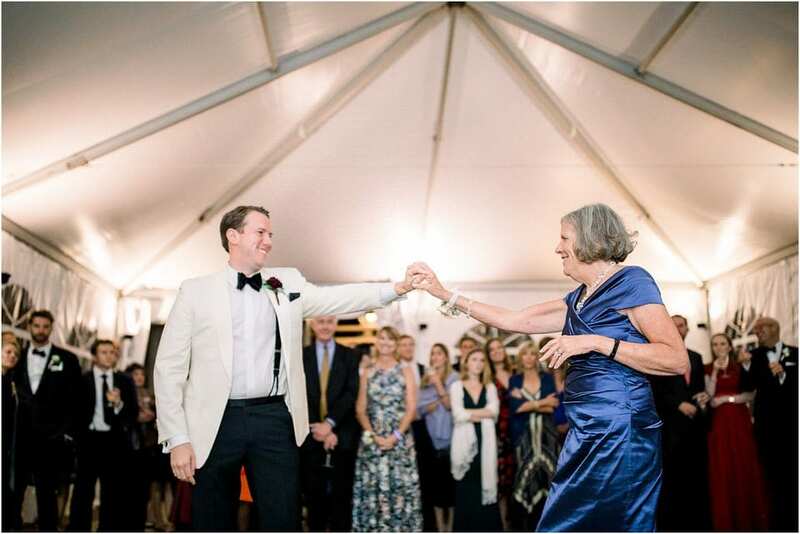 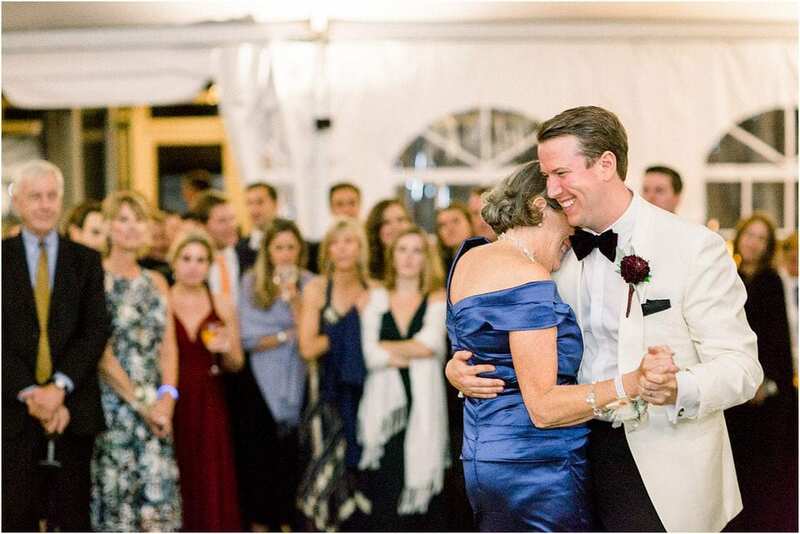 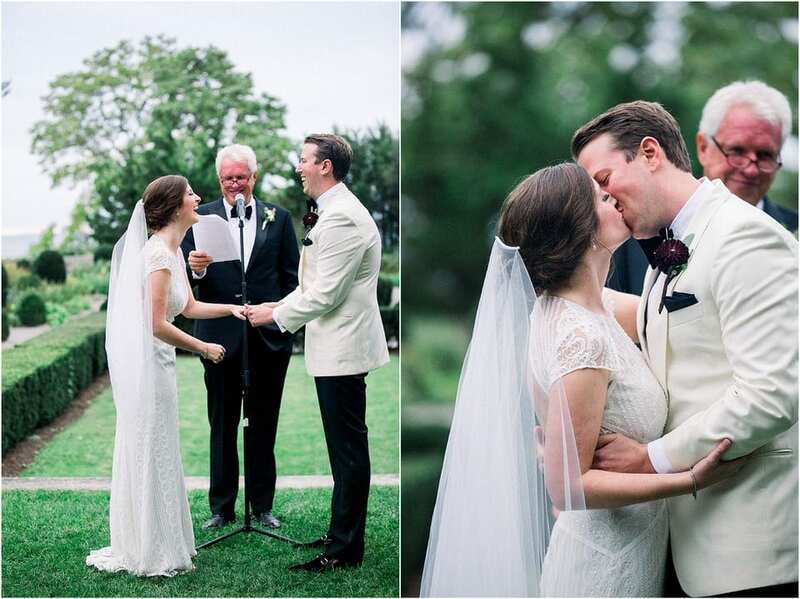 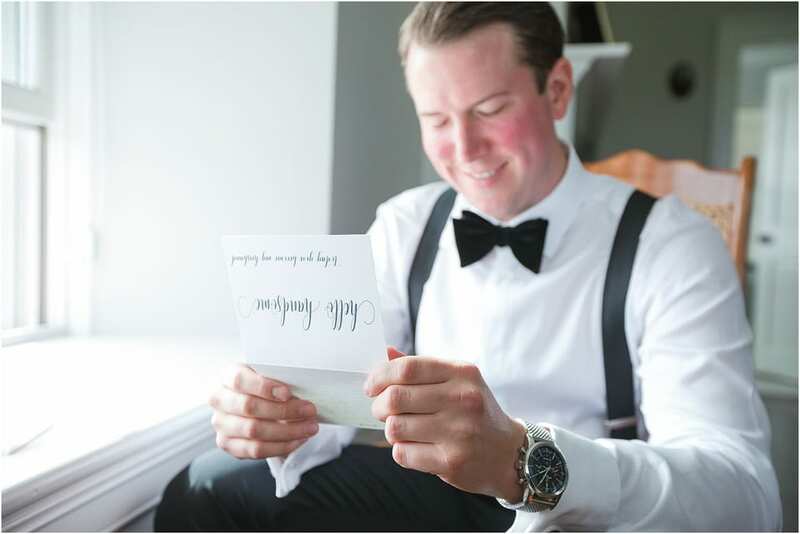 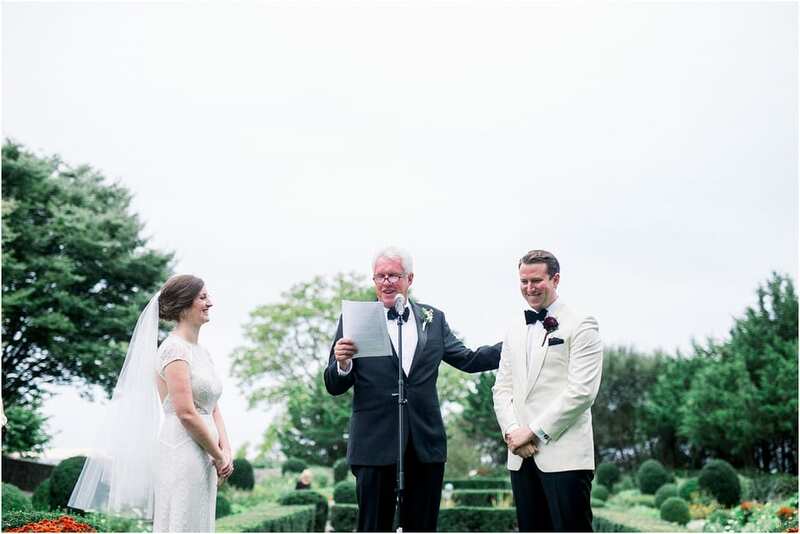 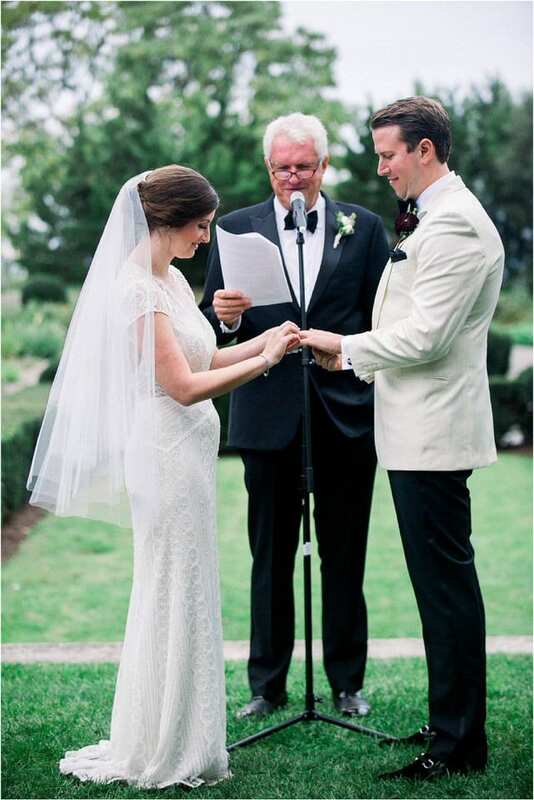 They honored their family members by having them be apart of their wedding day in special ways. 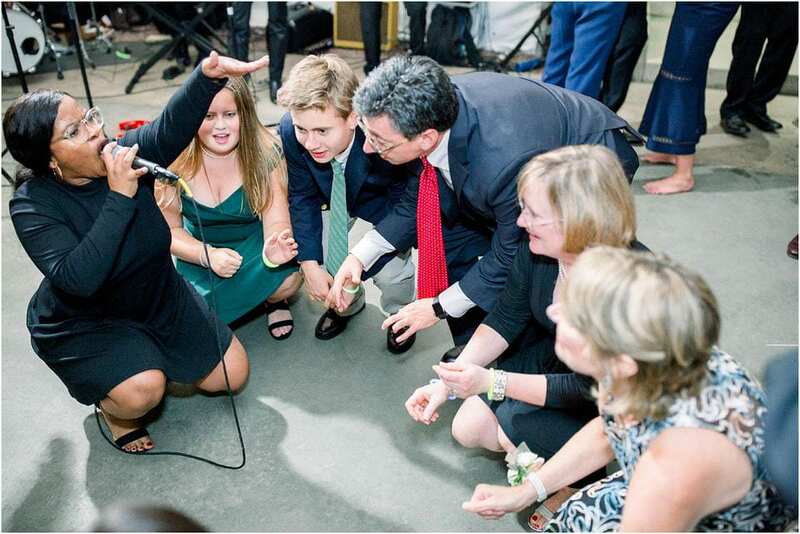 Grace’s uncle sang ” Gracie” by Ben Folds! 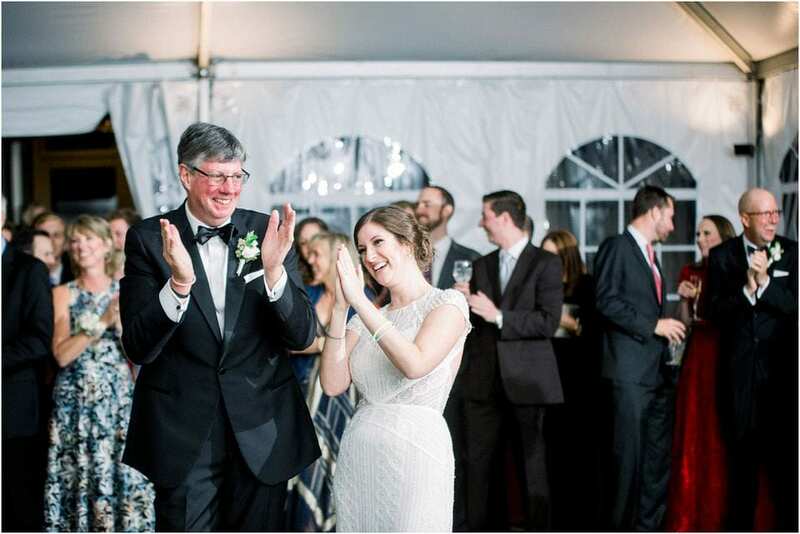 during the father daughter dance and got everyone up cheering and hollering! 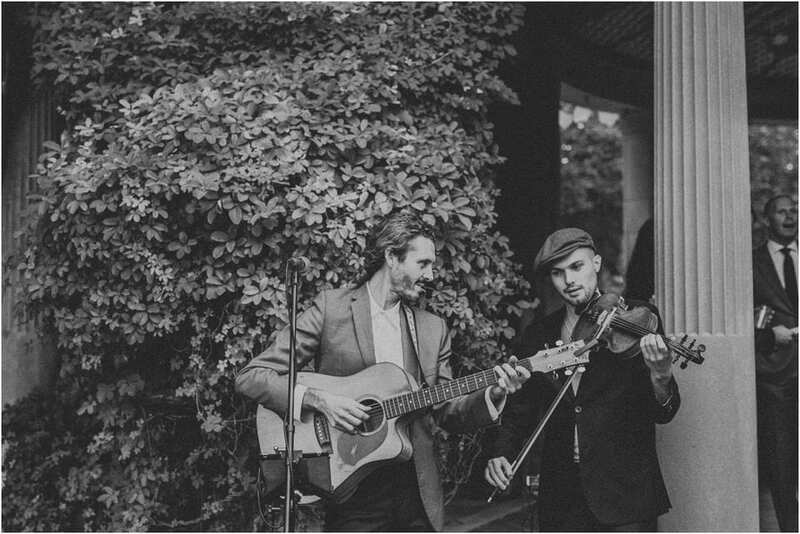 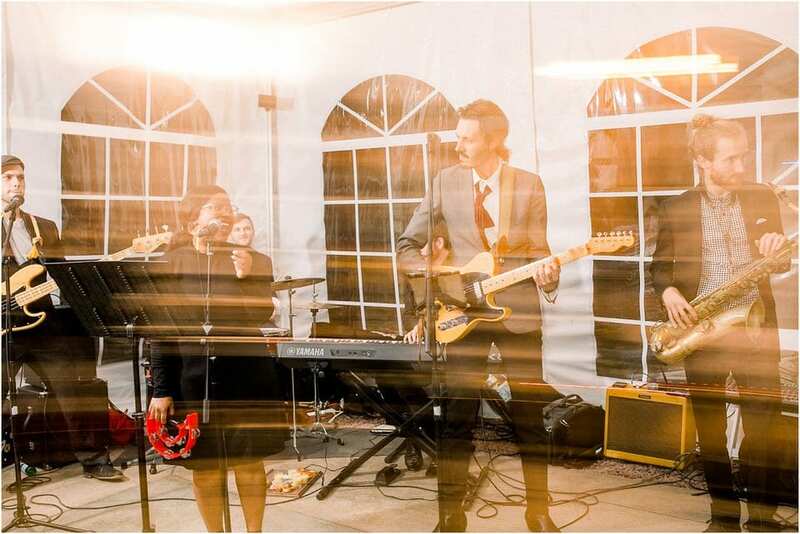 Silver Arrow Band closed off the evening with an epic dance party celebrating the newlyweds. 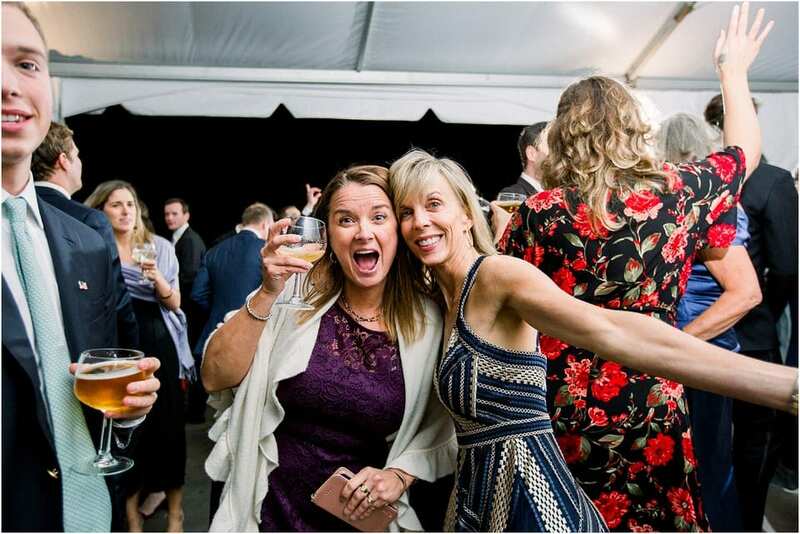 Sam and Grace, you two know how to throw a party! 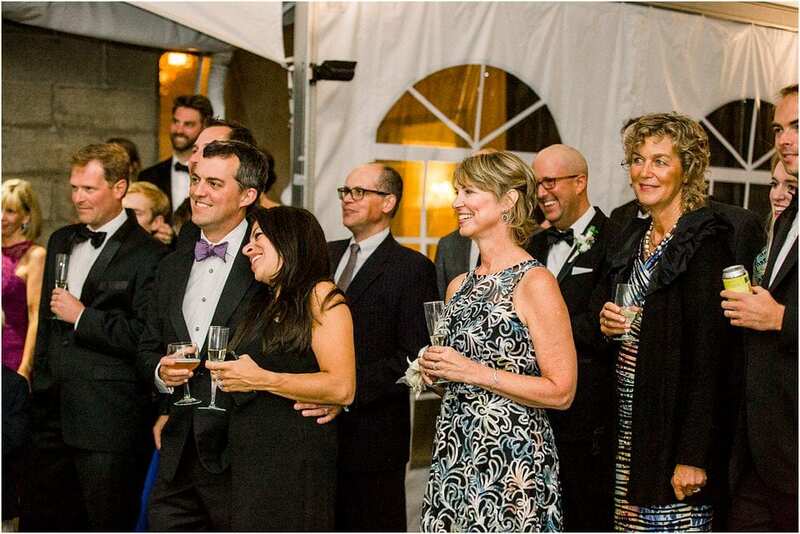 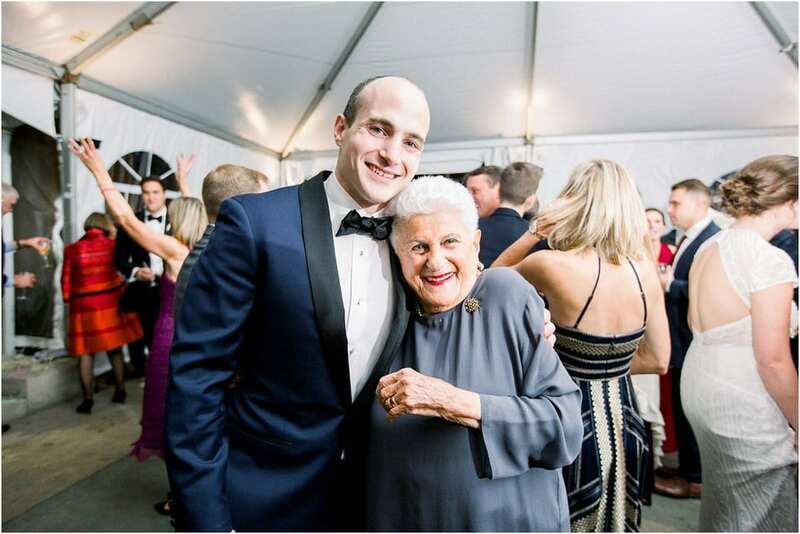 I was so honored to have joined you and your family on your wedding day. 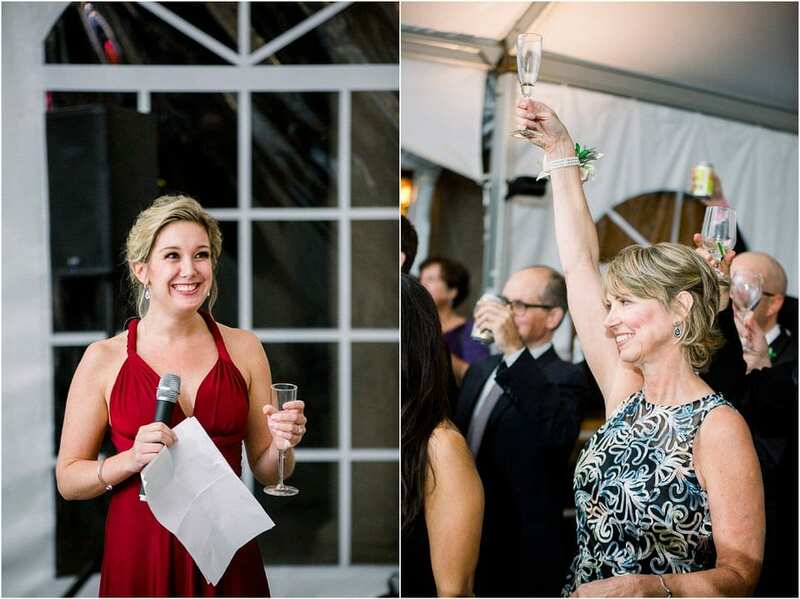 You are one dynamite team together and I am looking forward to more champagne nights with you in the future!